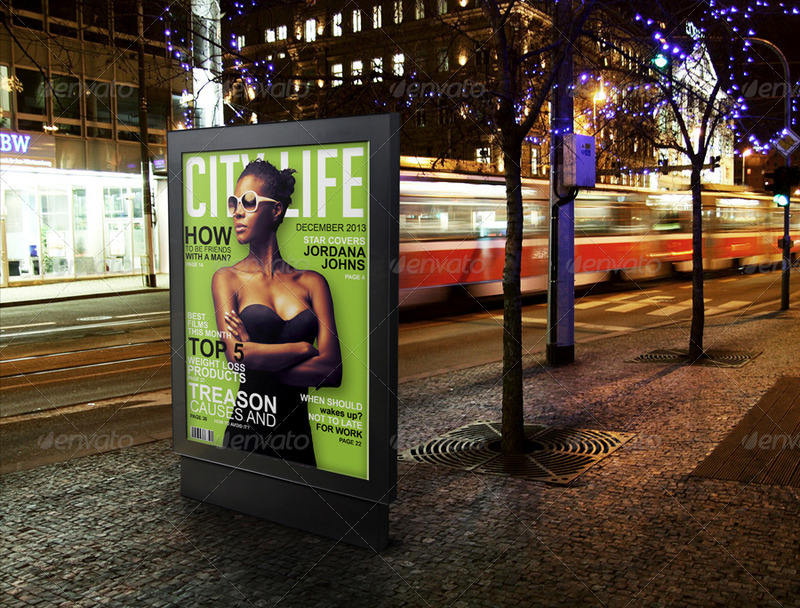 Advertising plays a very significant role in any kind of business and now a days it has become very important to market it to the right people. 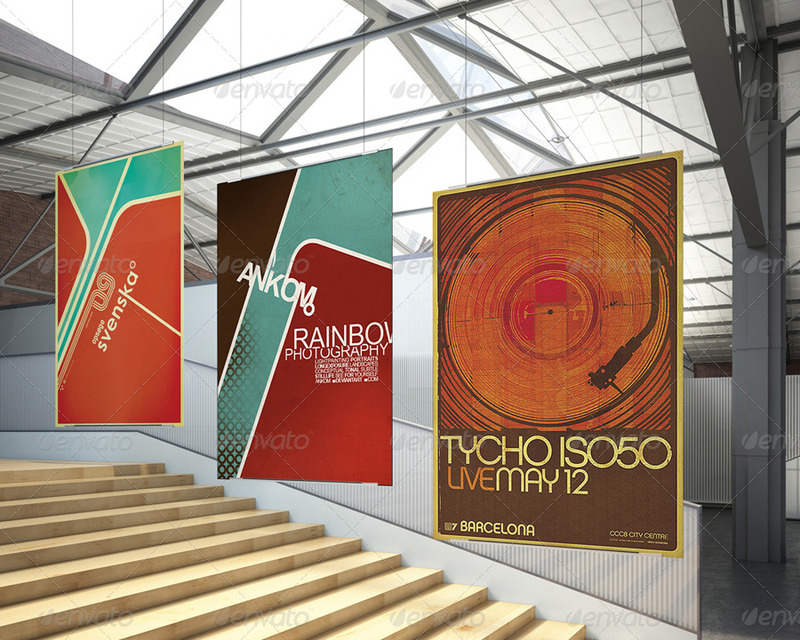 That’s where Posters play a very important role. 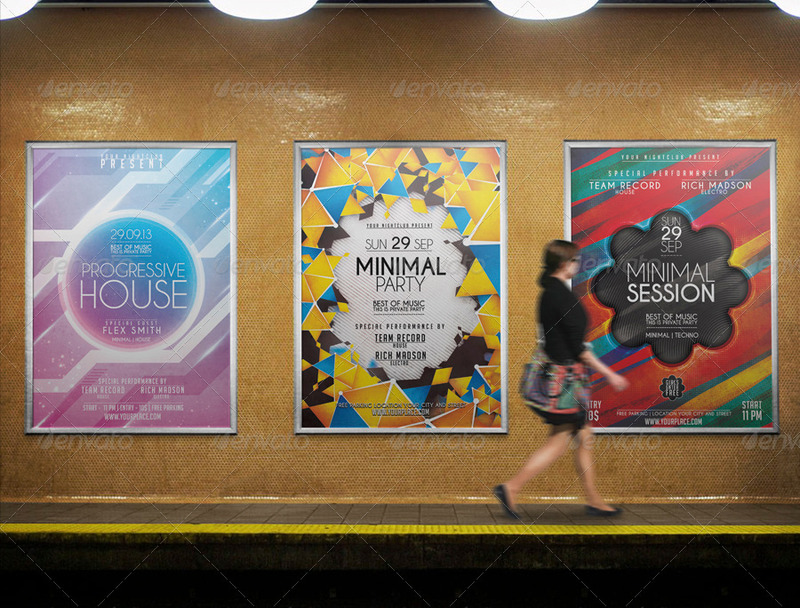 Unlike other methods of advertising, Poster are a bit expensive to design, yet simple and easy way to reach large audience. 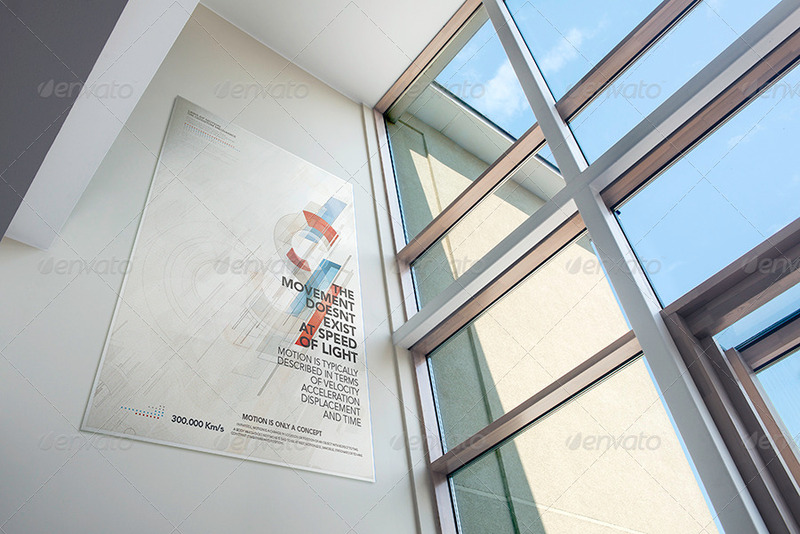 The best part of posters is that you can stick them anywhere you are allowed to. 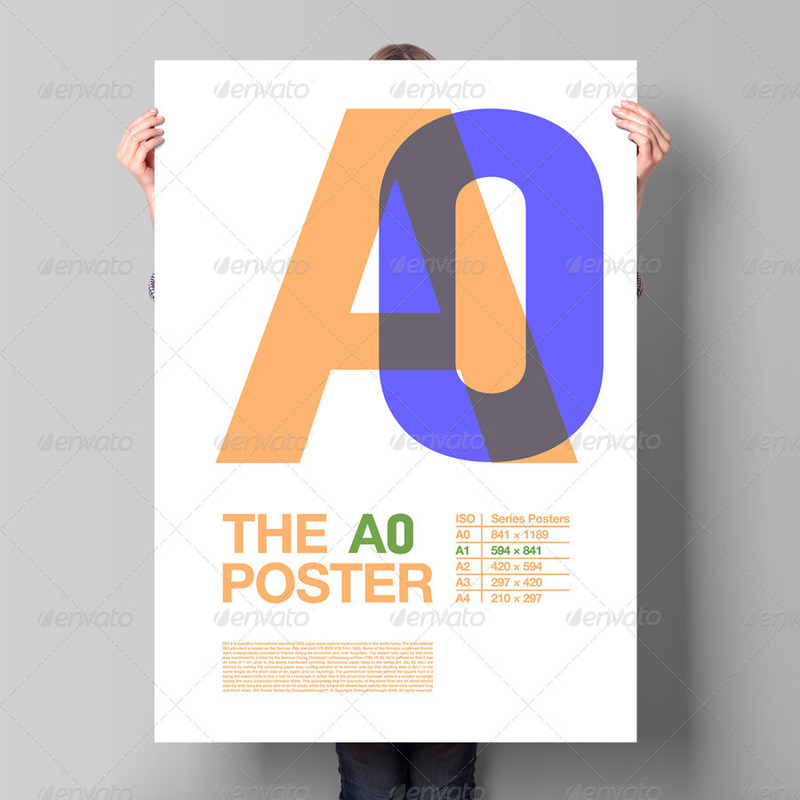 If you are a designer and designing a poster for someone, it is very important that you know how your design will look when printed in the form of a poster. 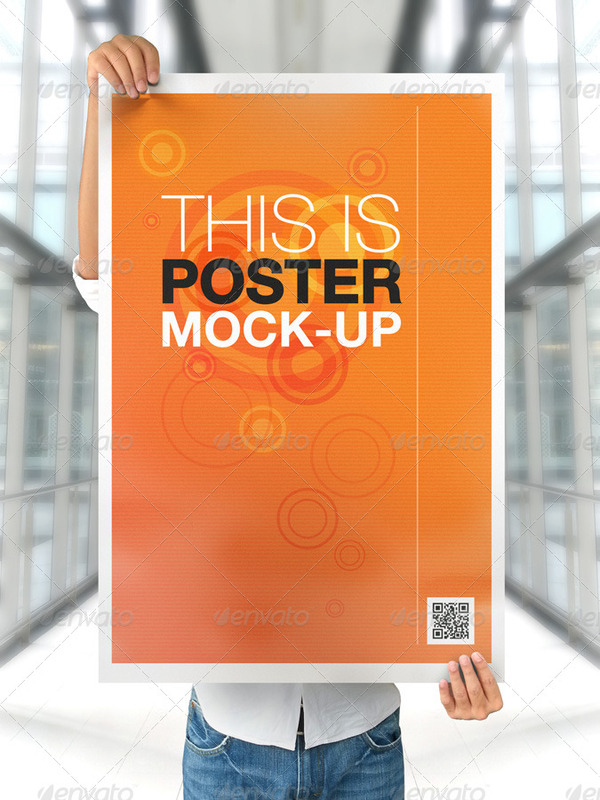 That’s where poster mockup is a very handy and cost-effective mechanism of checking your design before you hit the print button. 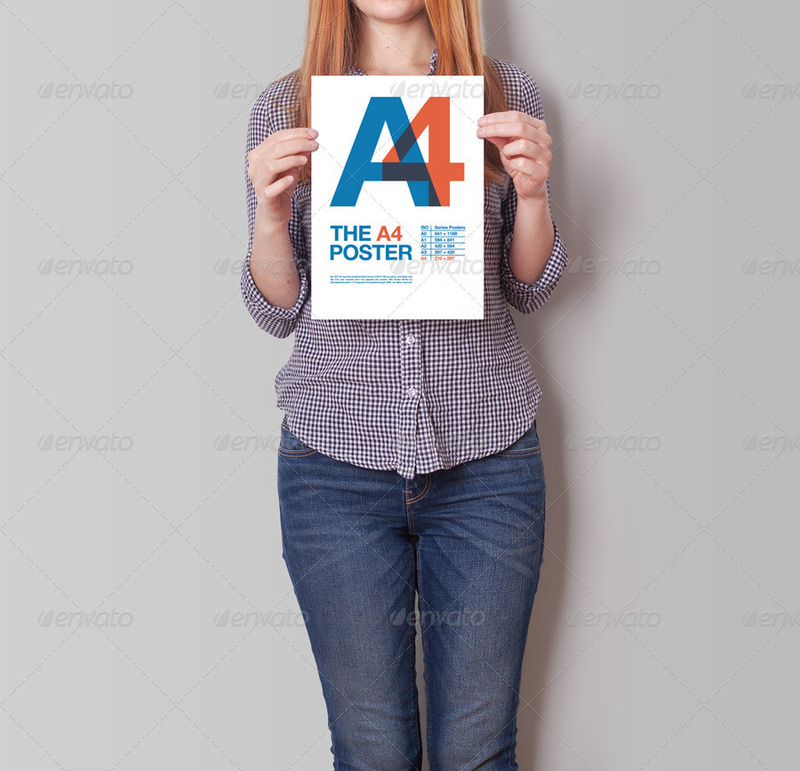 A poster mockup cannot give you the exact look and feel of a realistic poster but yes it can definitely simulate it very closely. 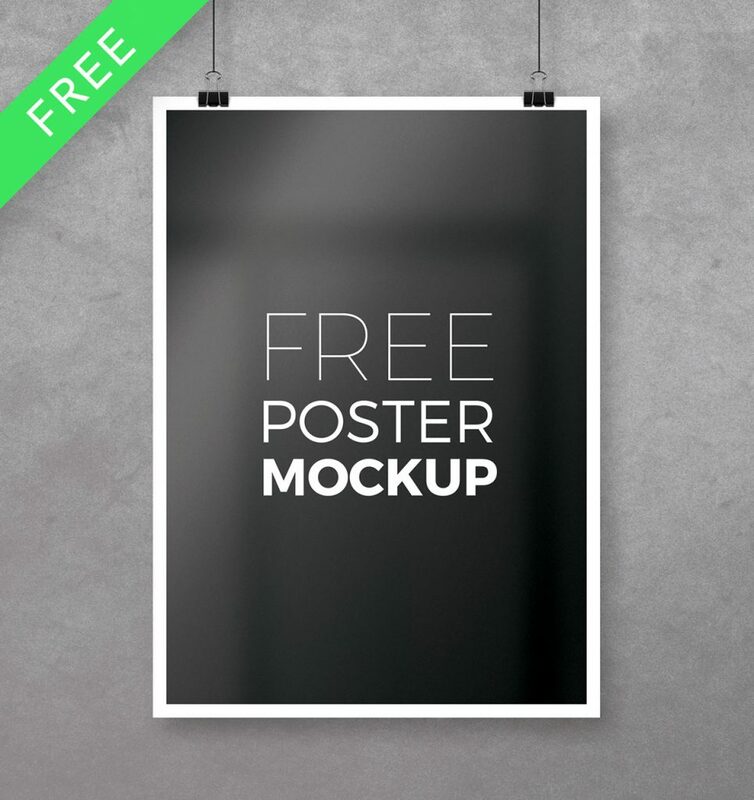 In this post, I have handpicked some of the best free poster mockup templates for you to download and use. 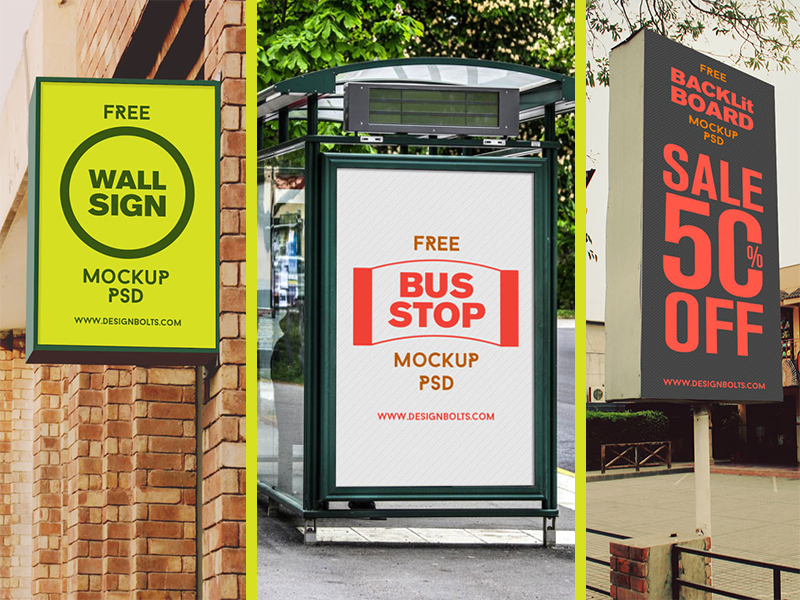 Most of the mockups listed below have been designed in Photoshop using smart objects which makes it very easy to make any modification, if you need to. 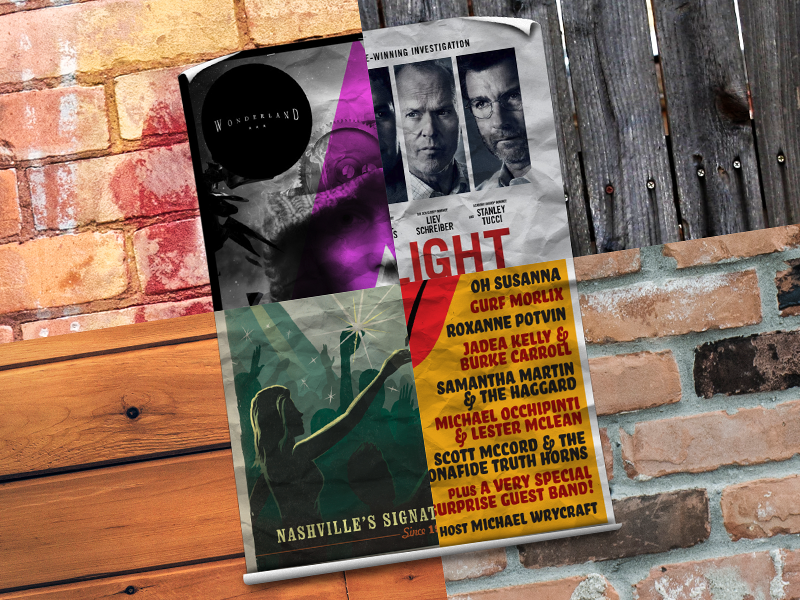 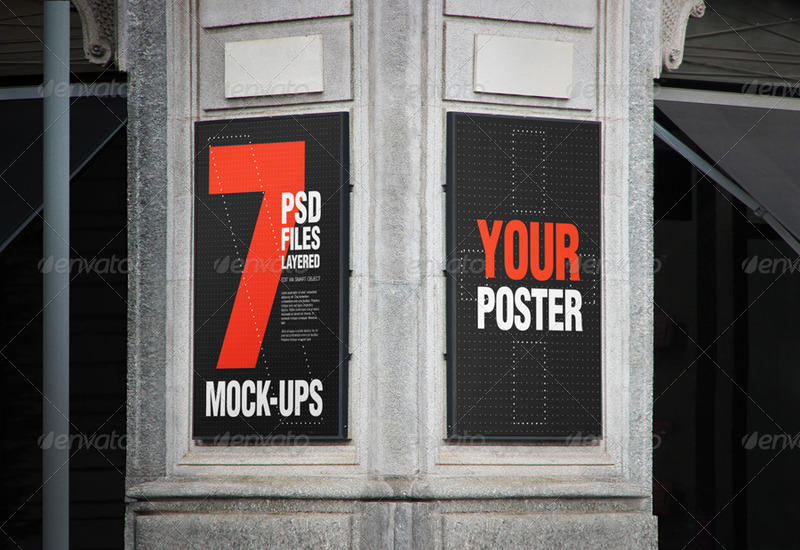 You can use these poster mockups as a starting point to design your own poster. 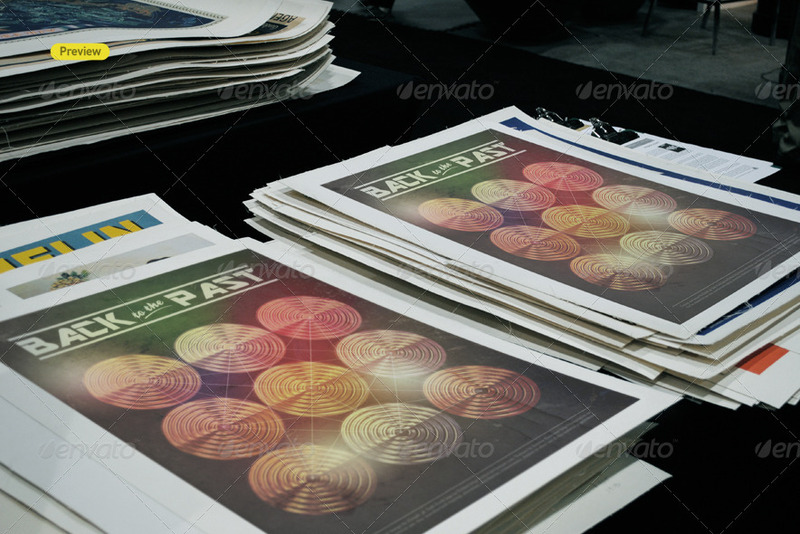 All you have to do is just place your design and see how the end result would be before you hit Print. 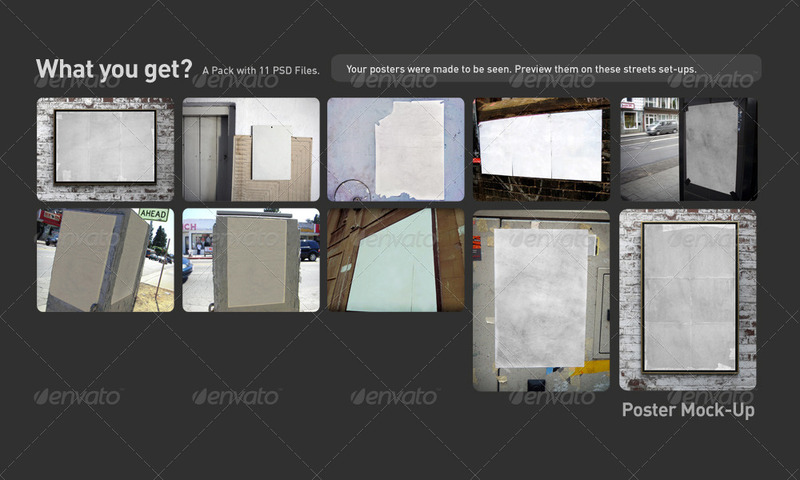 For your convenience, I have added mockups of different shapes and sizes. 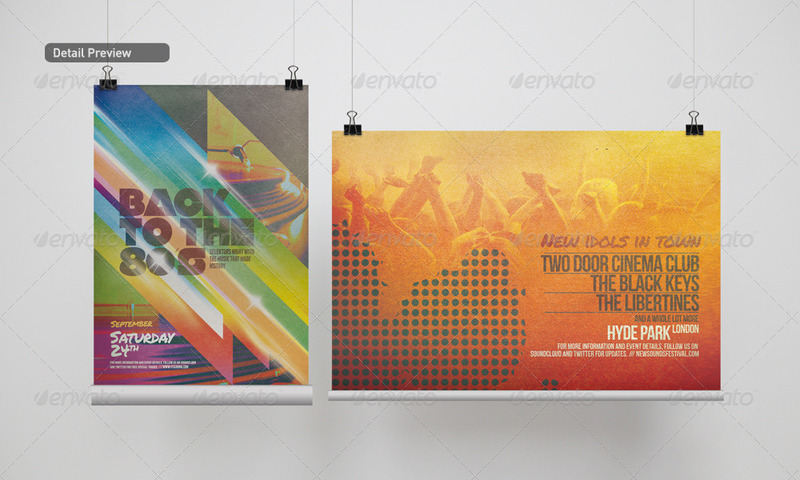 Some of these poster mockups are horizontal and some are vertical in shape. 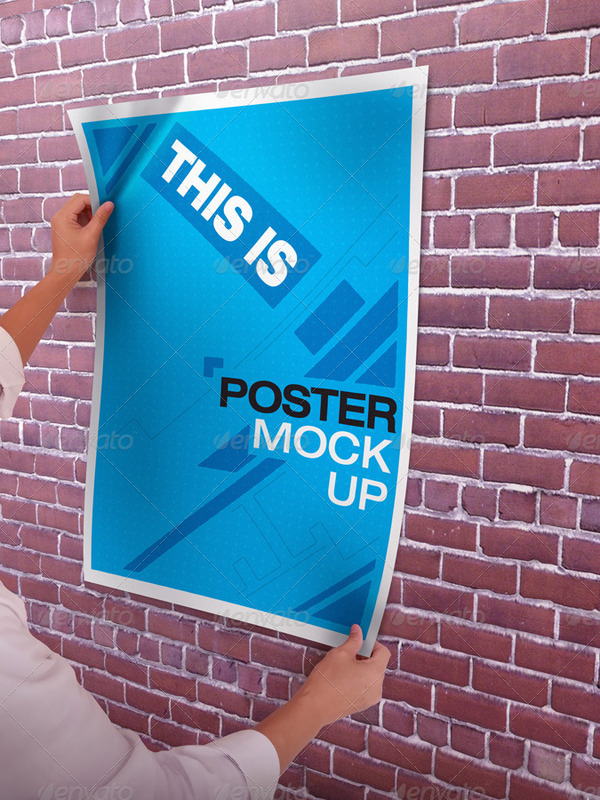 I hope that you will find the best poster mockup for your design work. 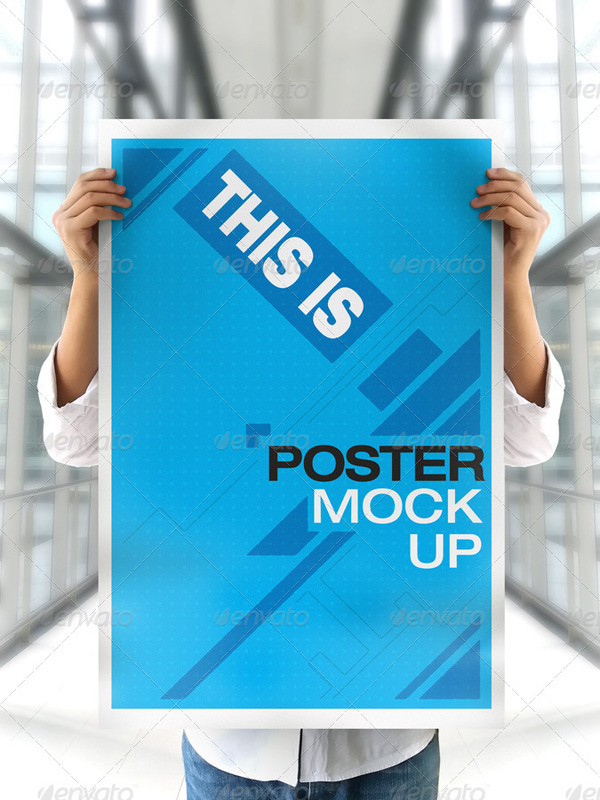 Please bookmark this page because all new poster mockups will be added to this post as and when new mockups are released. 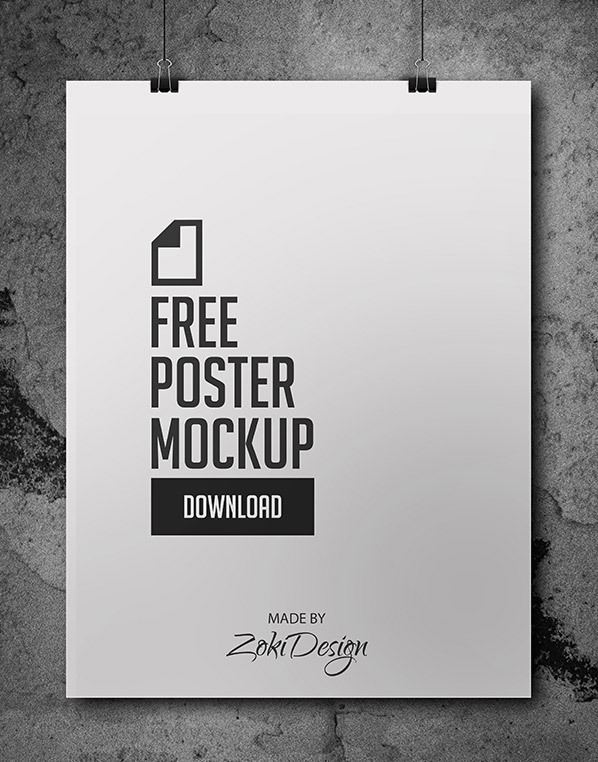 This post has two sections; first section lists all free poster mockup templates and the second section lists all premium poster mockup templates. 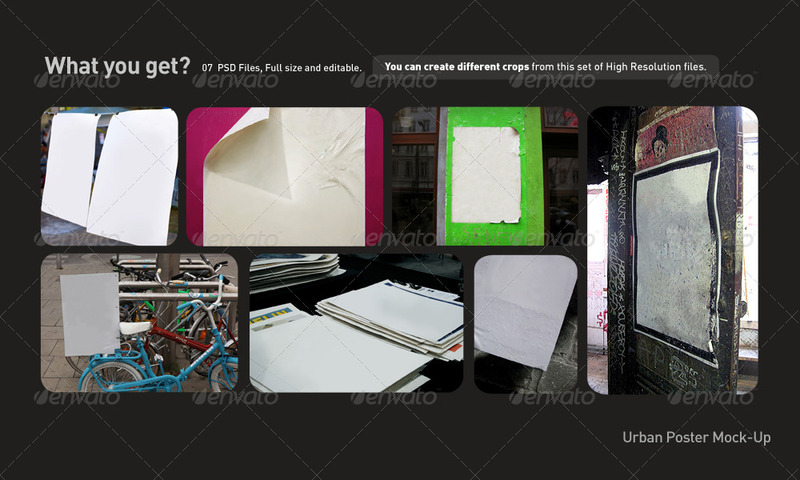 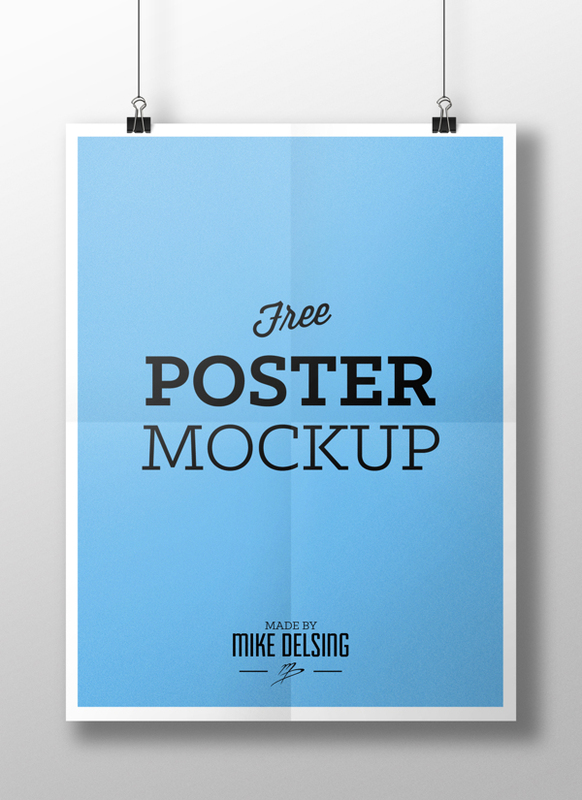 I think you should also look at the premium poster mockups if you are not able to find a good free one. 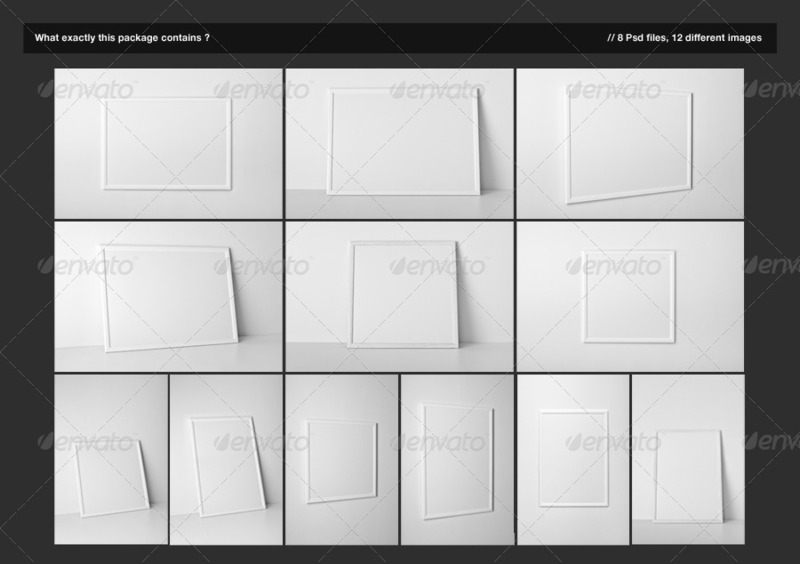 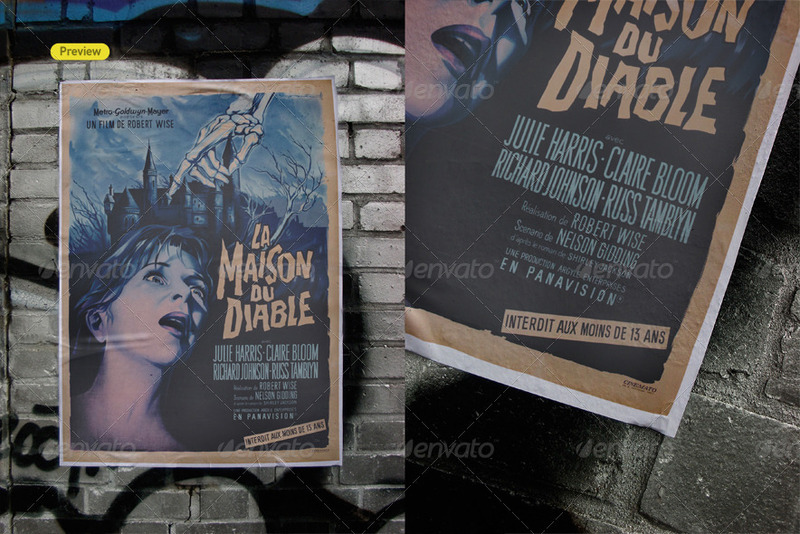 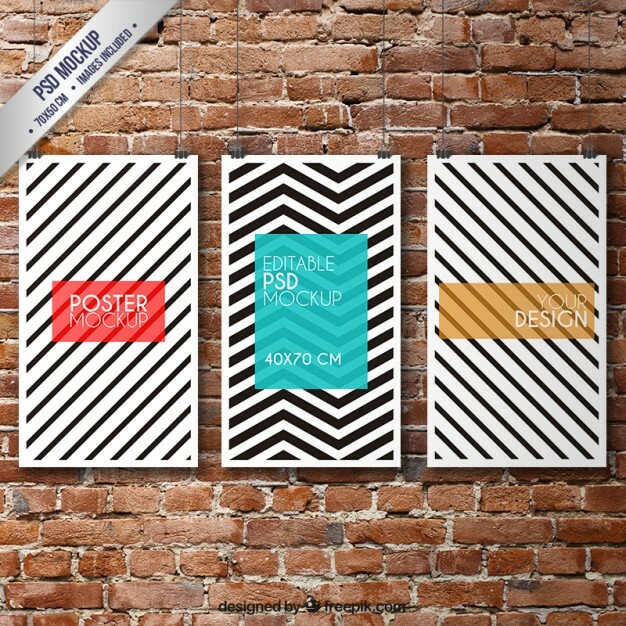 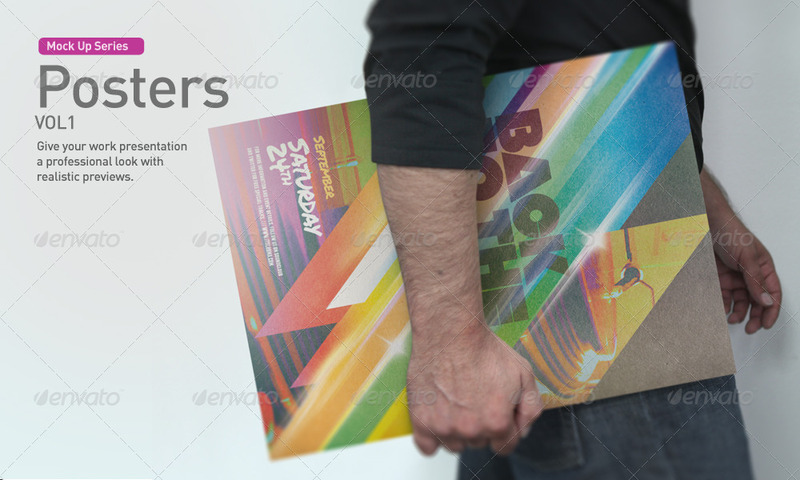 The following section contains all free Poster Mockup Templates with downloadable PSD files. 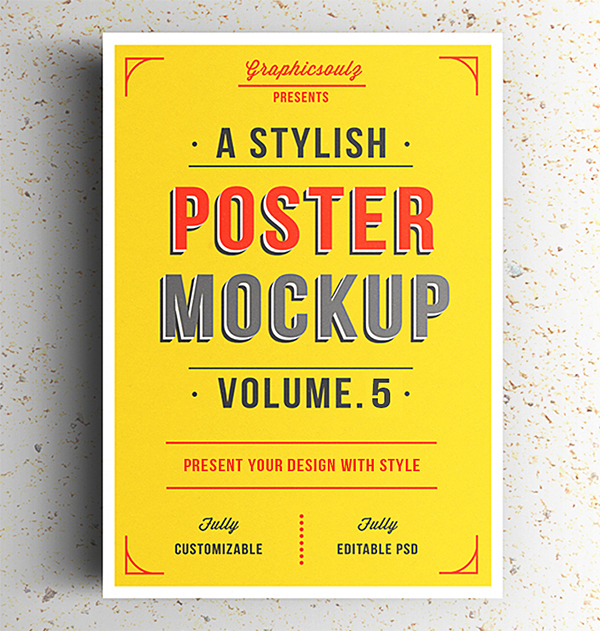 But if you are looking for premium Poster Mockups then skip to the next section for Premium Poster Mockup Templates. 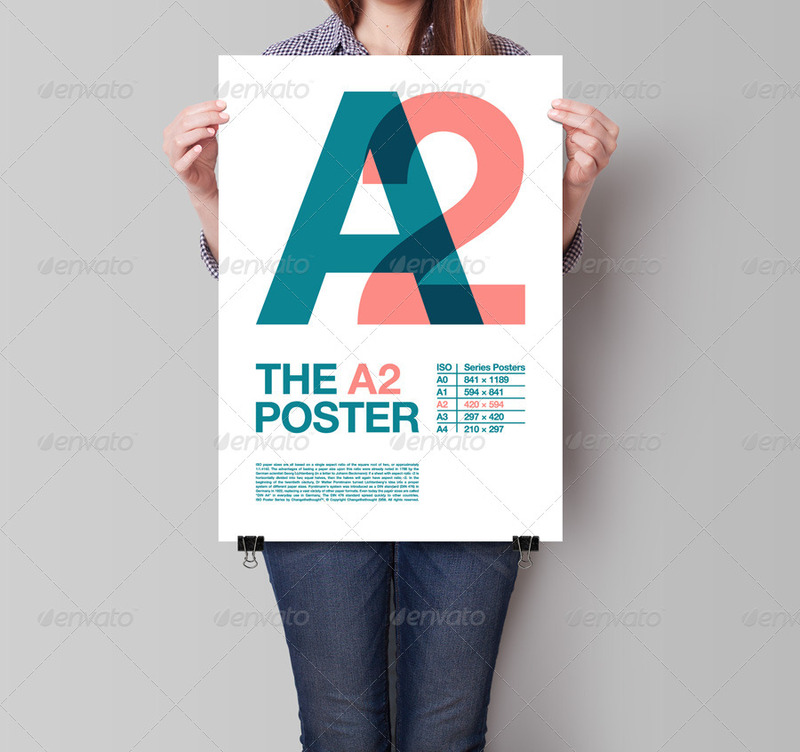 A beautiful A4 poster mockup with frame that you can use to create a brilliant minimal poster and showcase to your friends, other graphic designers or clients. 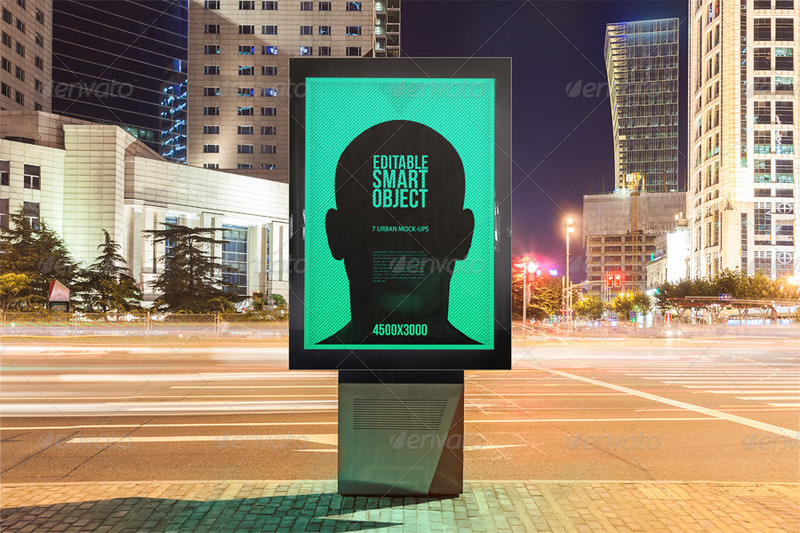 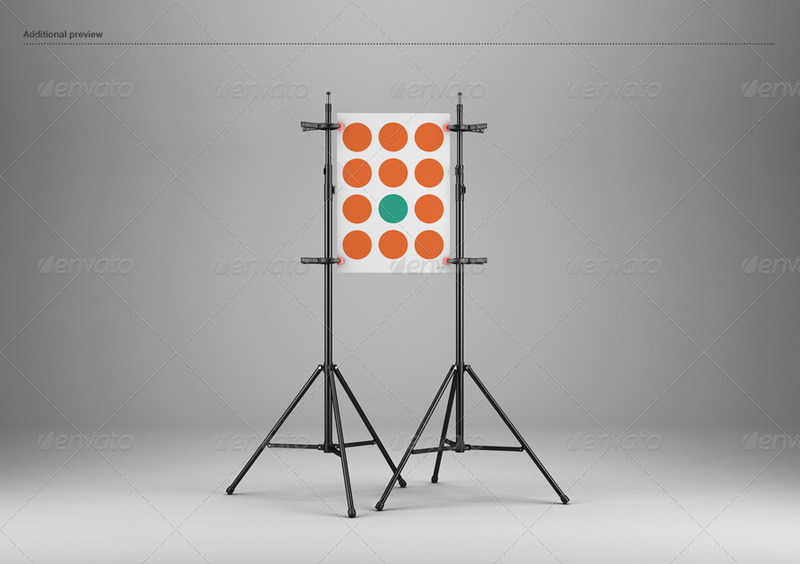 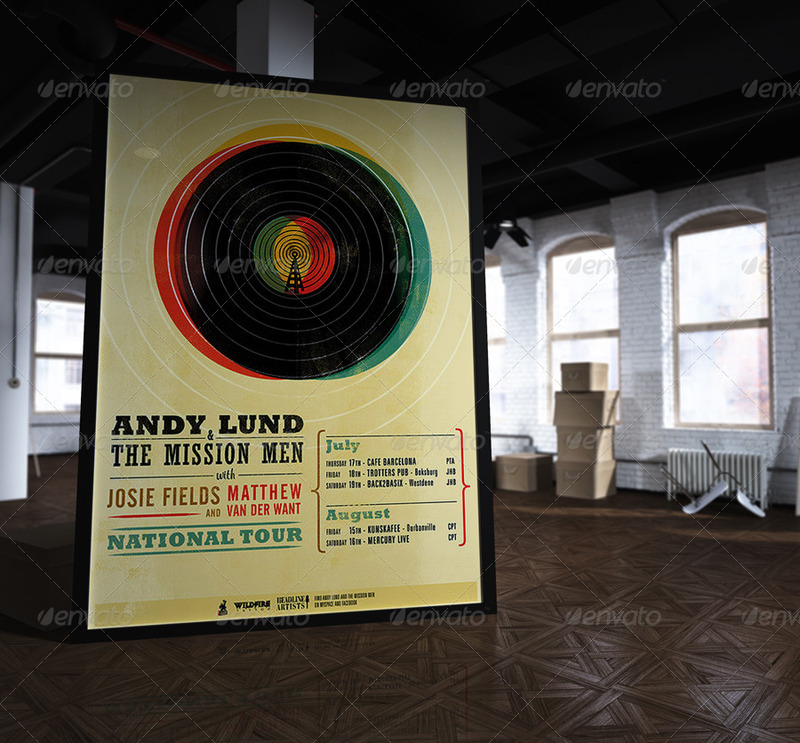 You can easily drop in your own design using the smart objects which makes this poster mockup very easy to use. 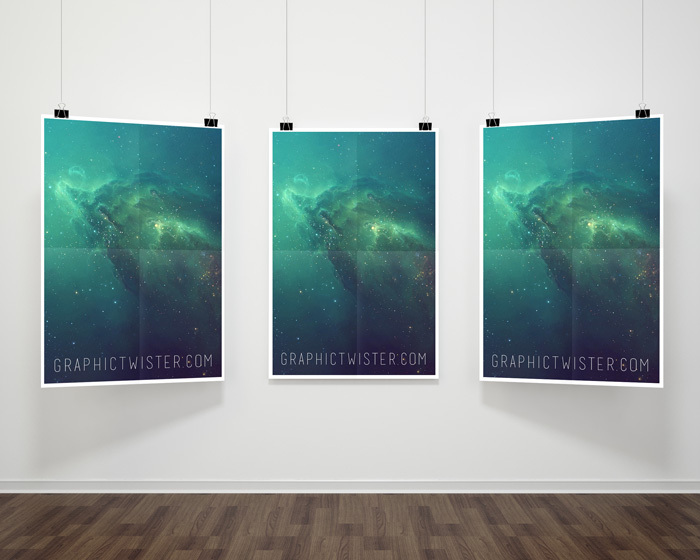 A free poster mockup that comes with four different yet gorgeous backgrounds. 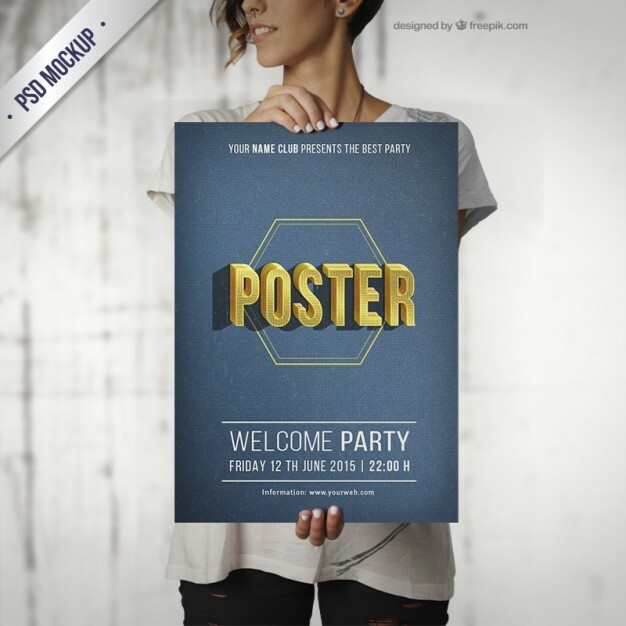 You can easily edit the poster layer and select the background you need to produce a stunning poster design. 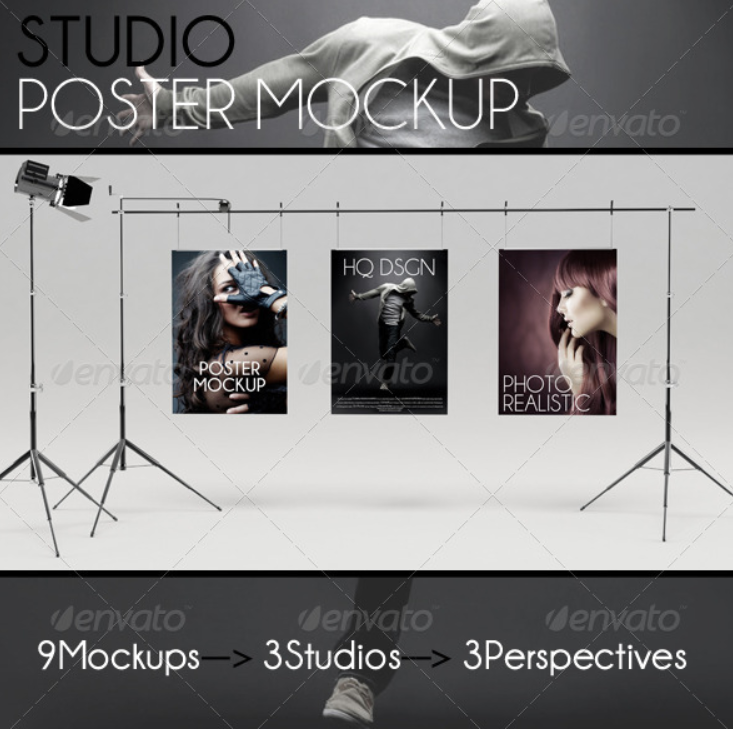 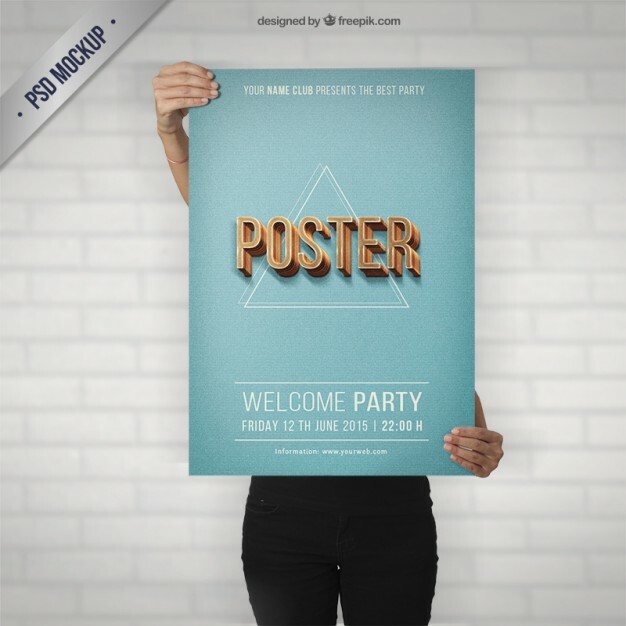 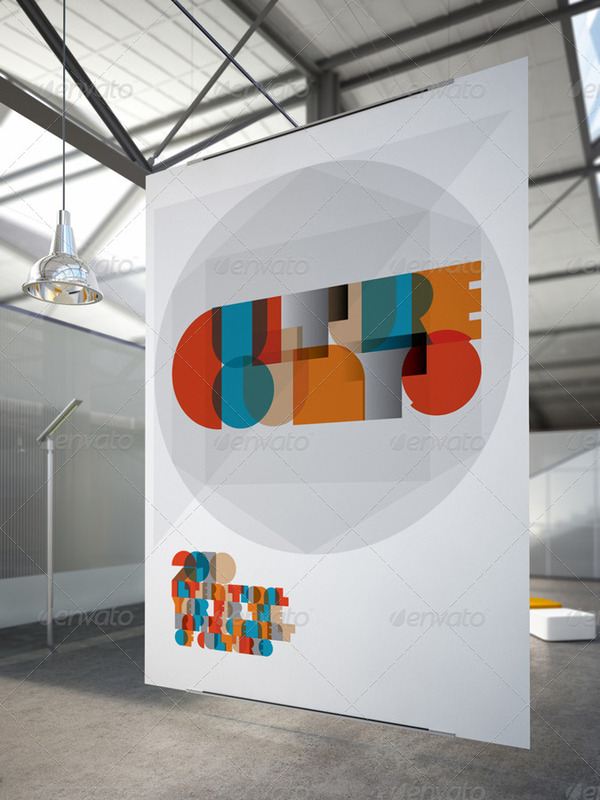 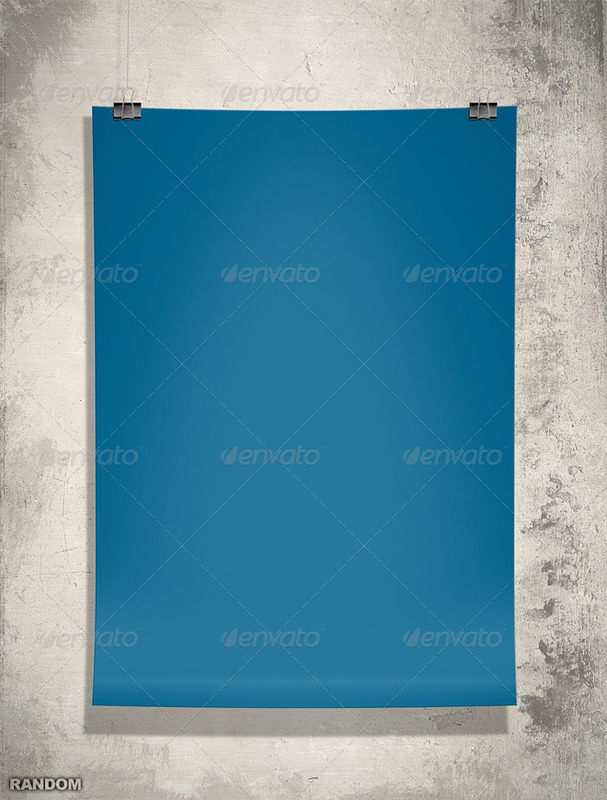 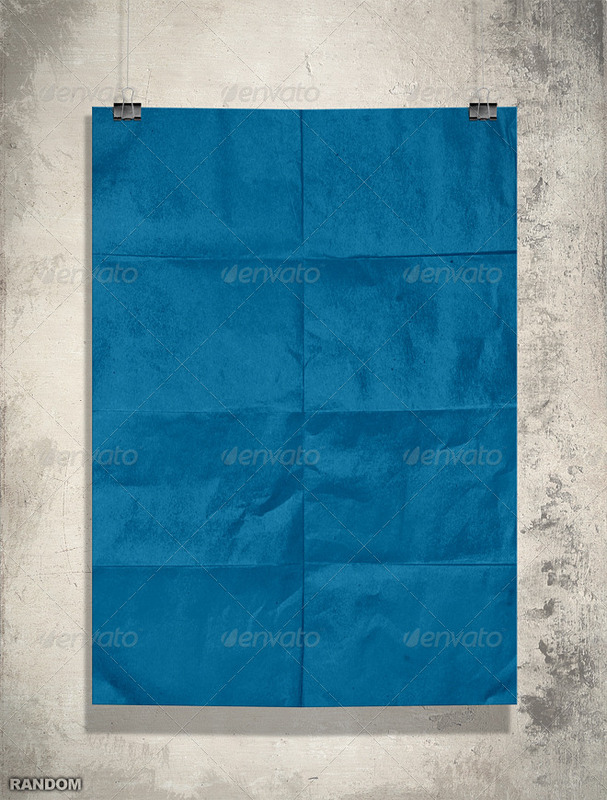 A PSD hanging poster mockup template for you guys to showcase your designs on a hanging poster. 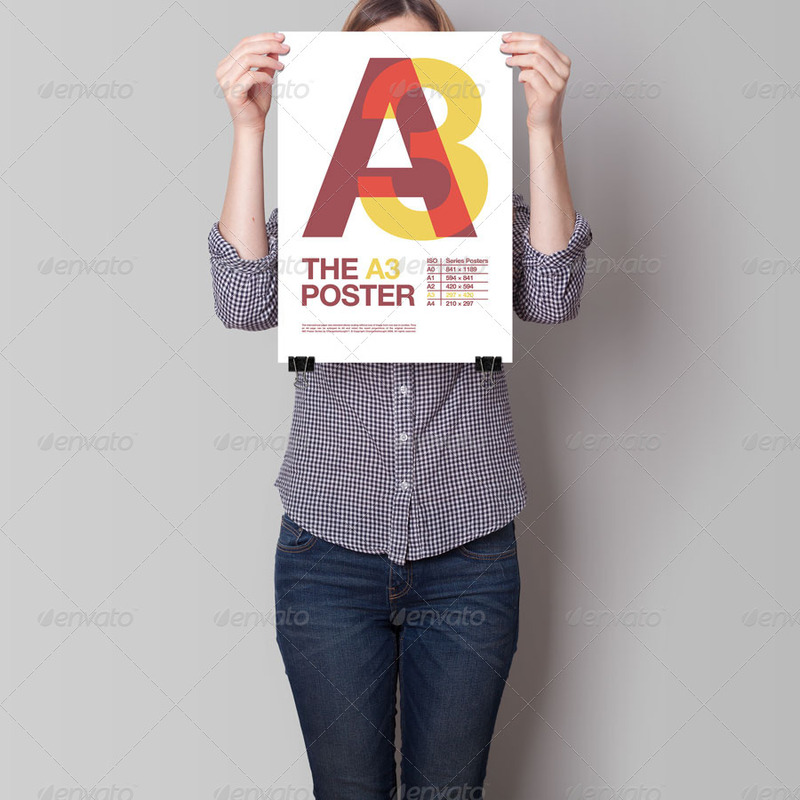 The poster is hanging with the help of black clips. 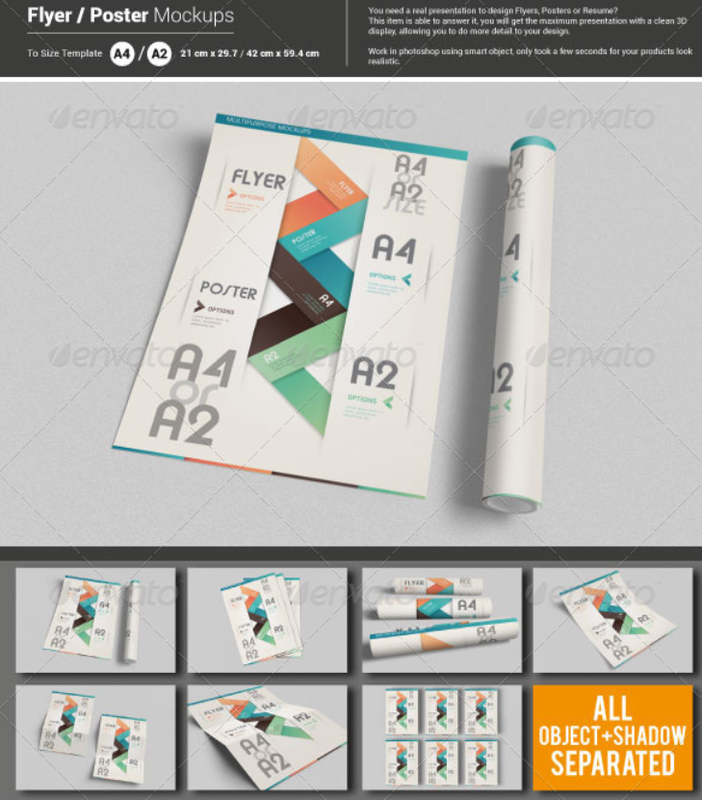 In order to add your design, all you have to do is just drag and drop your poster design to the smart layers in the file. 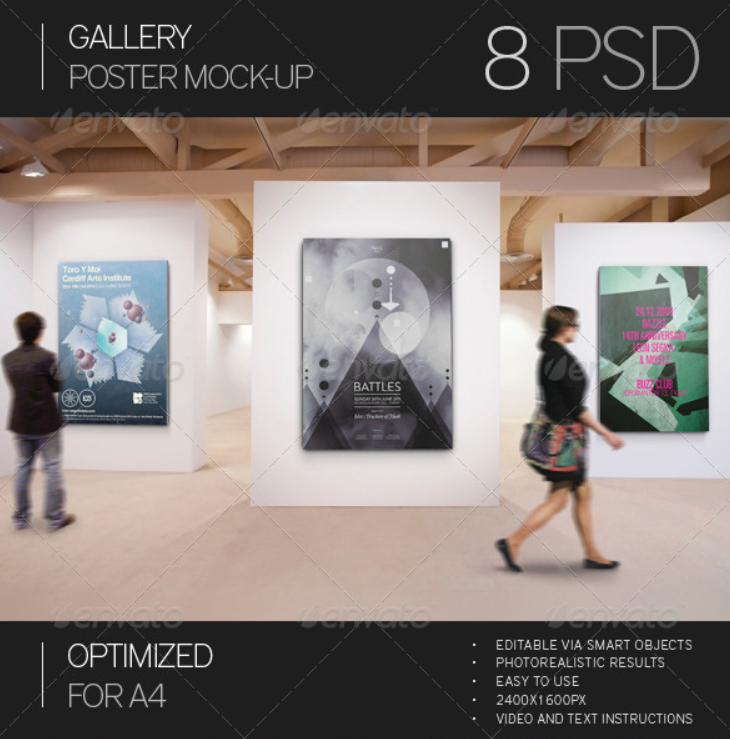 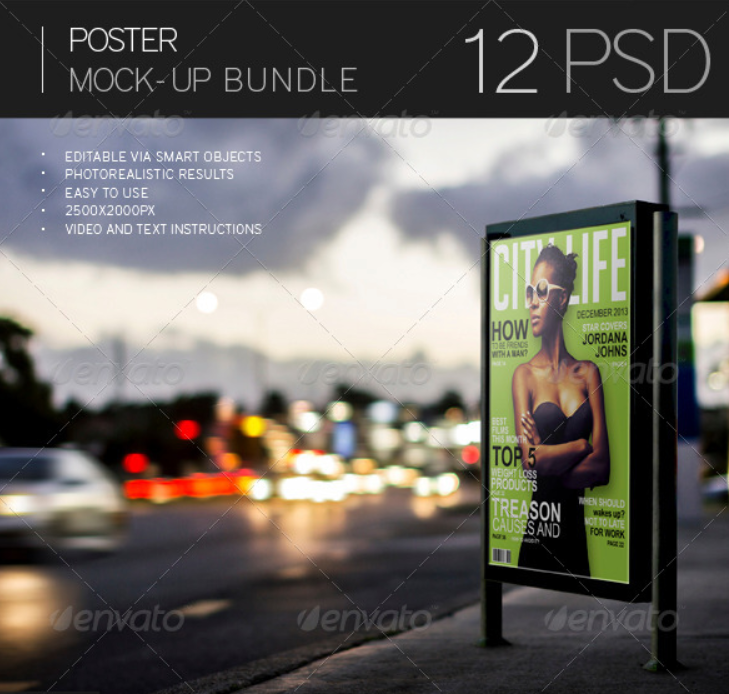 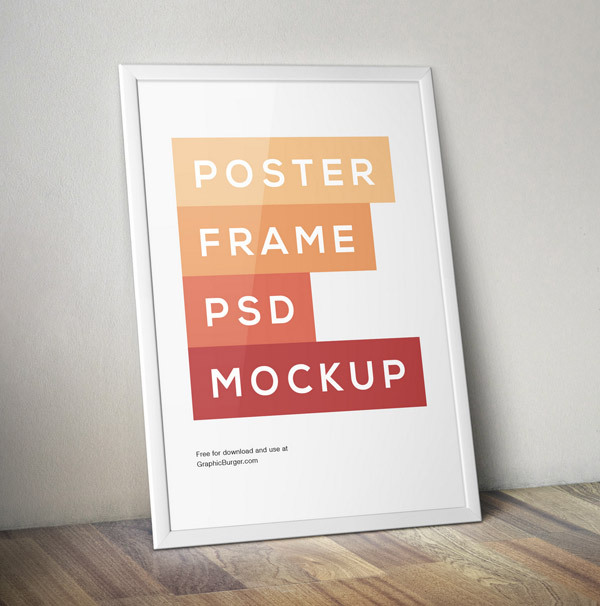 A high resolution Free A4 Poster Mockup with smart objects in Photoshop PSD. 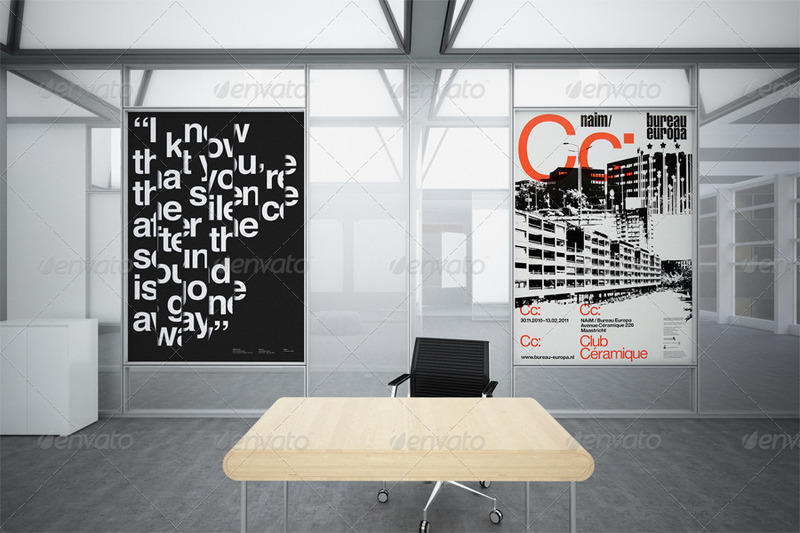 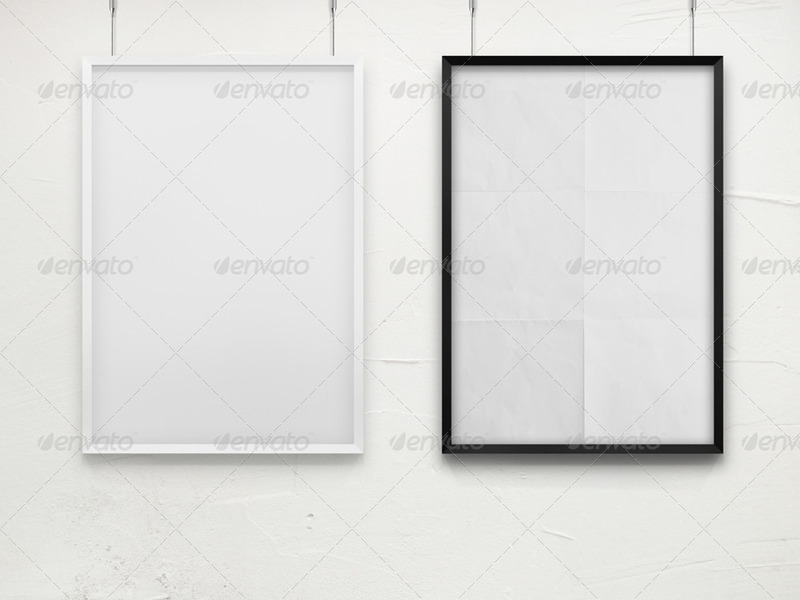 The poster mockup has multiple variations, black and white frames, real reflections and multiple shadows with variations. 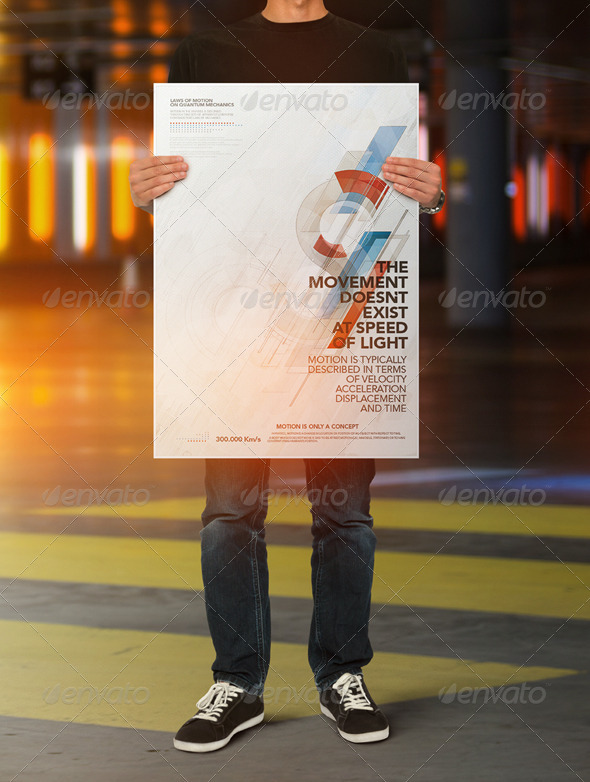 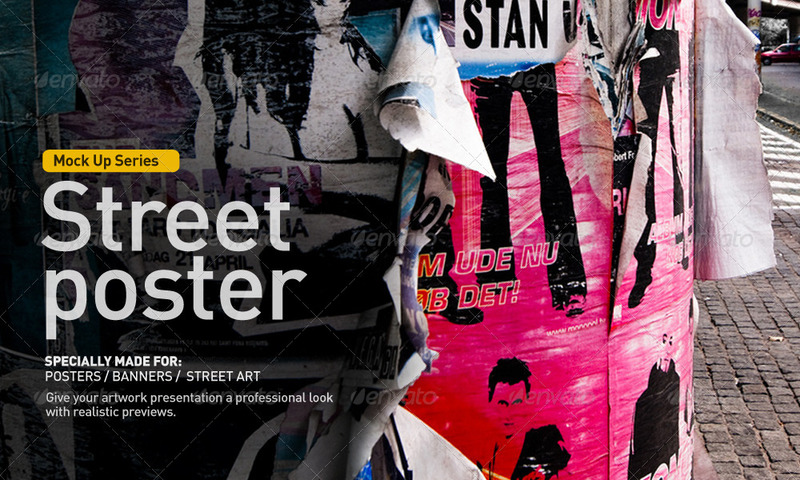 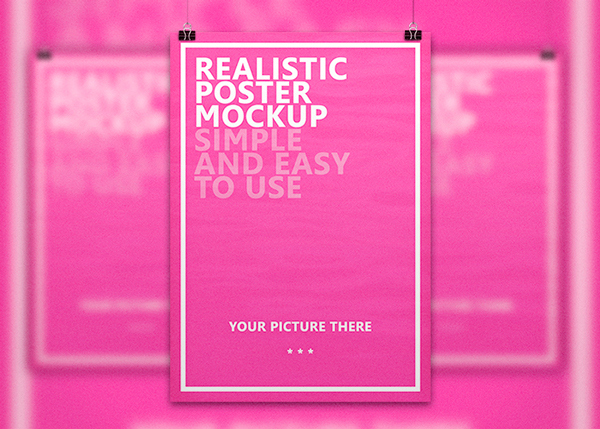 A sleek poster mockup which you can use to showcase your posters, flyers or artworks in a realistic manner. 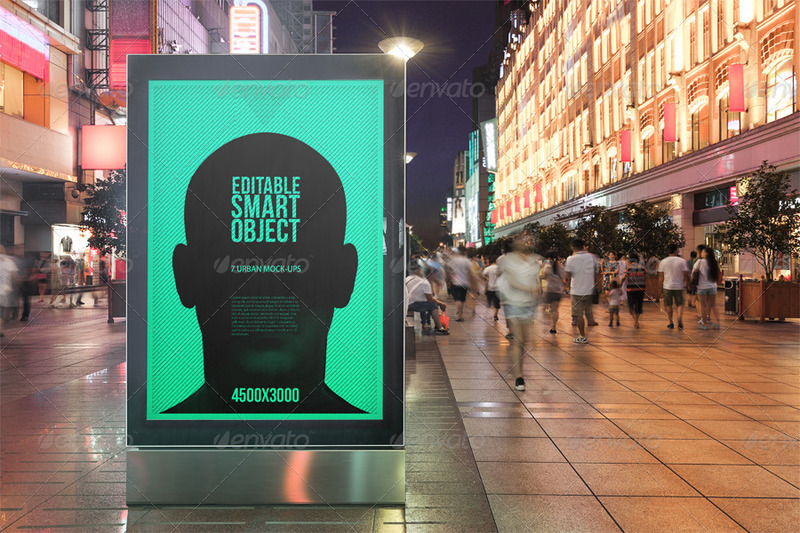 All you have to do is select the smart object and insert your design into it. 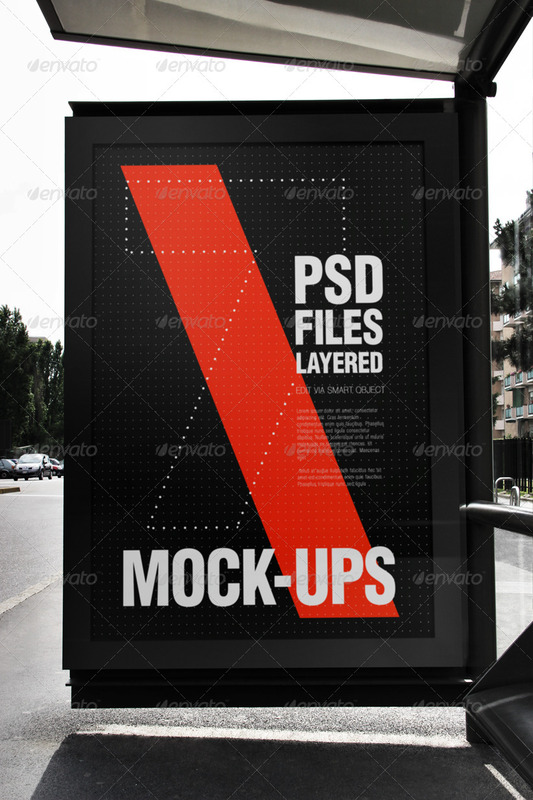 This is a pack of two realistic poster/frame mockup PSD with an image size over 2000px and has been released with both personal and commercial use license. 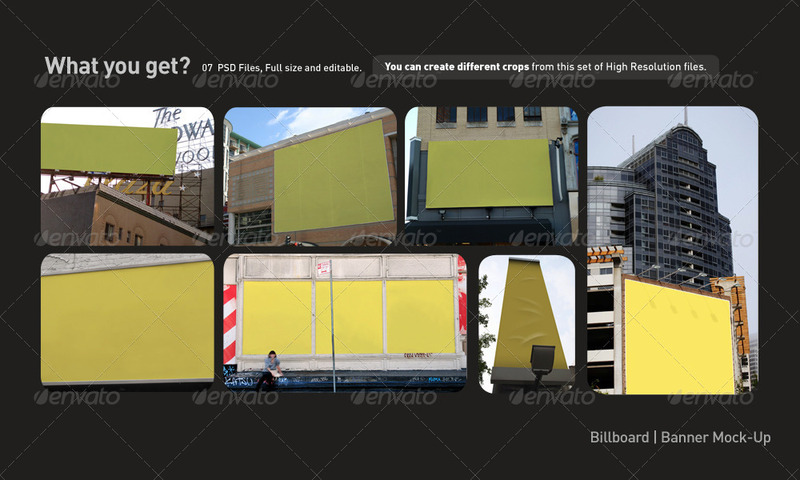 The images have been taken using Nikon 7100 and are of really high quality. 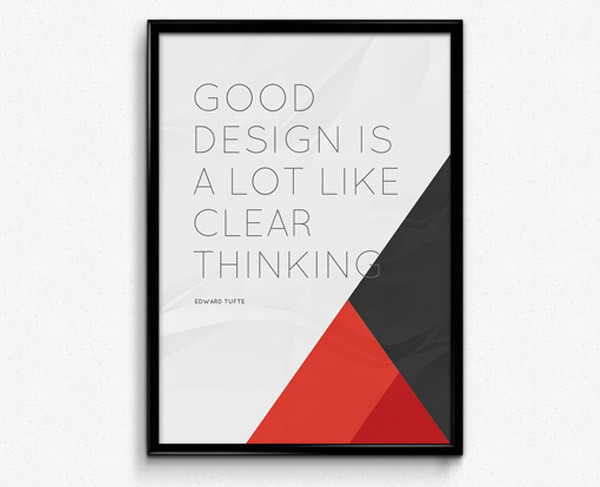 All you have to do is replace the design and put your own. 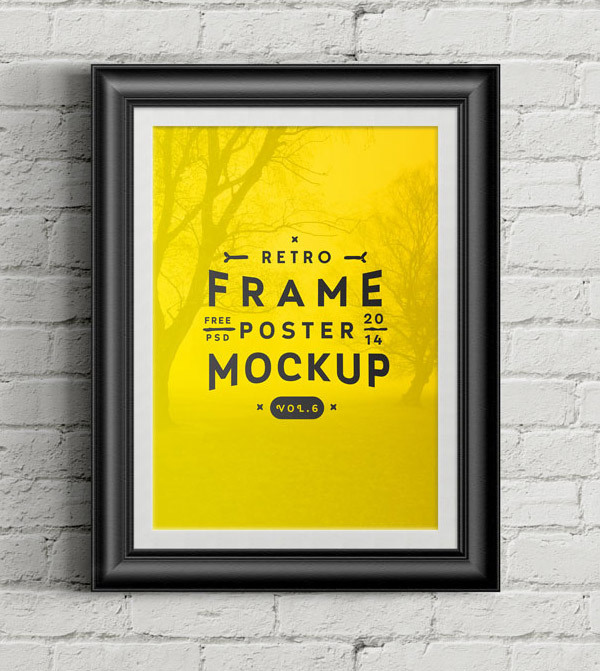 This is a beautifully designed retro styled poster mockup. 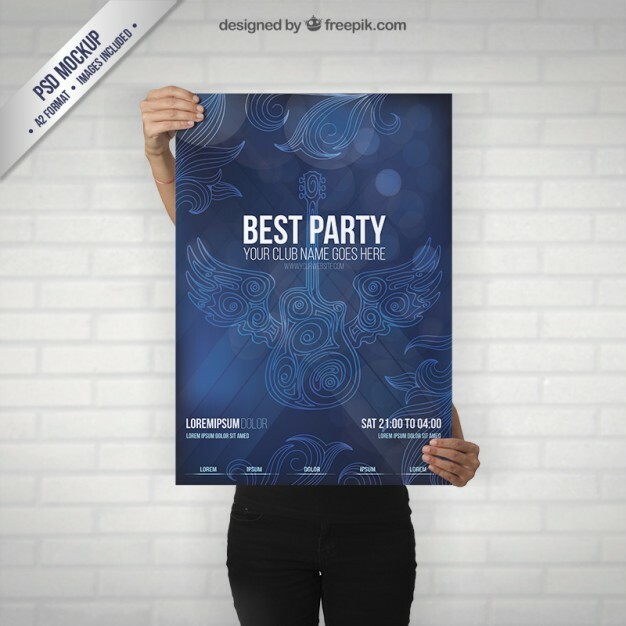 This is yet another poster mockup for promoting clubs and party events. 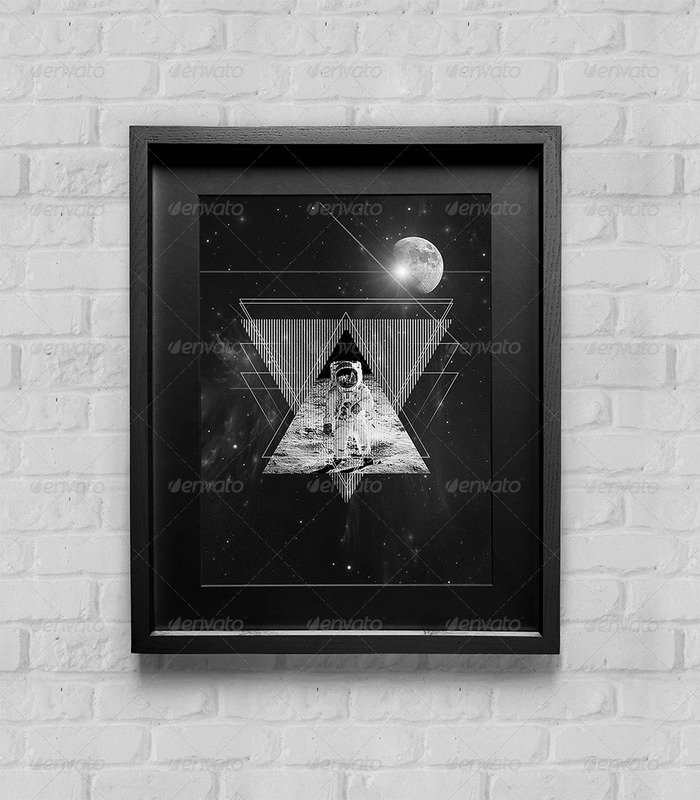 This one is a bit different then the one above as it has some designs in it. 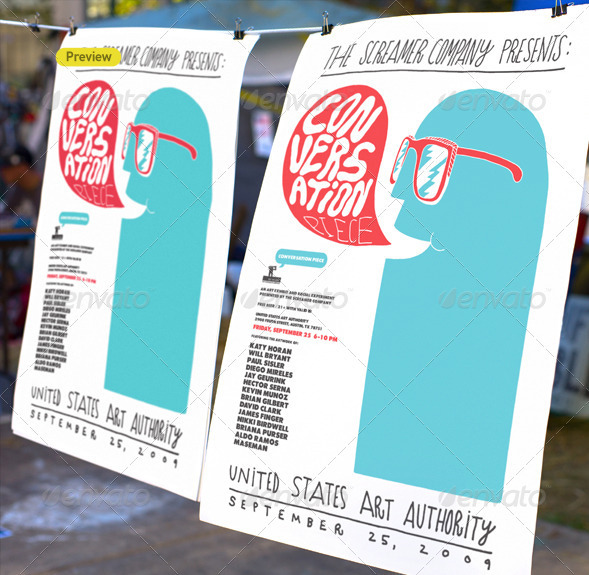 Pretty cool poster for even promoting music events. 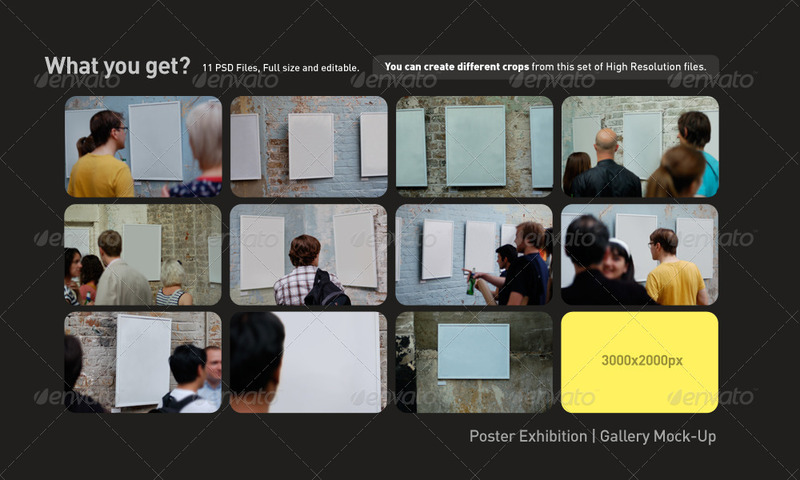 This one is a blank poster mockup. 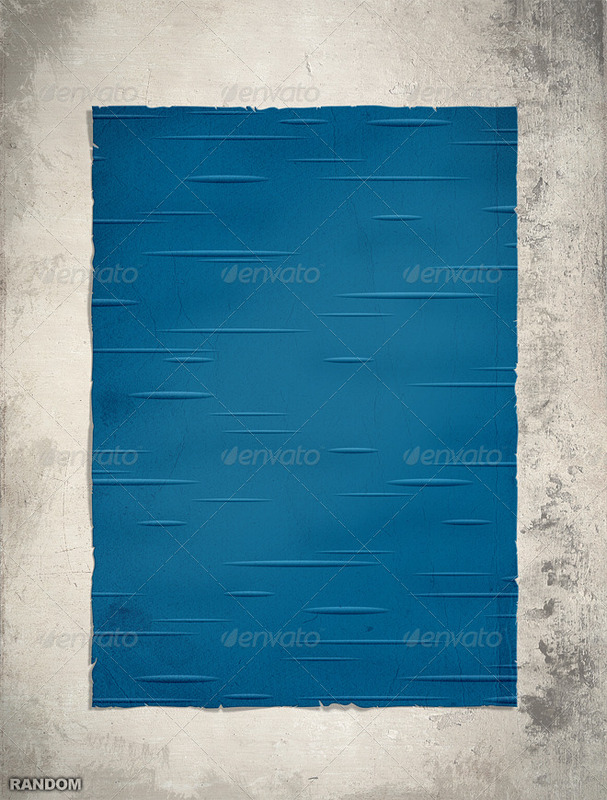 It has been kept blank on purpose so that you can just use it in any form you want to. 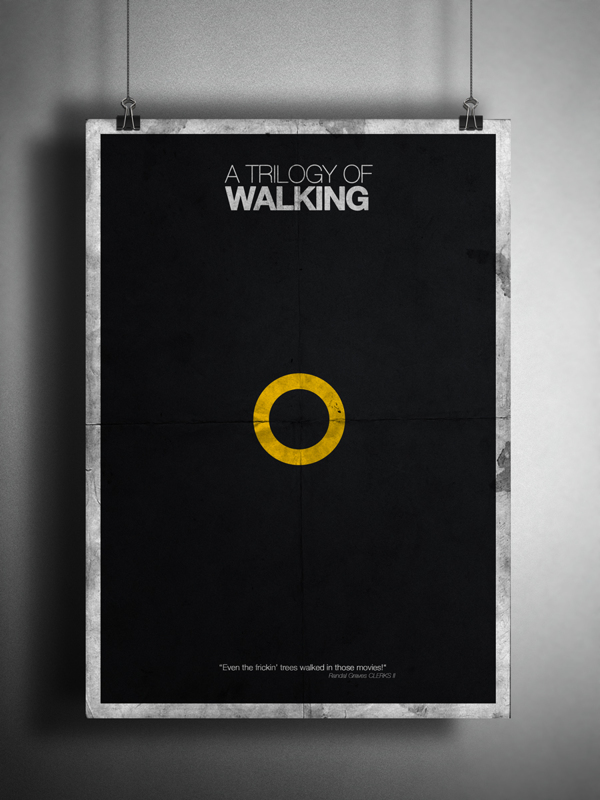 You can use this one as a minimalist poster with some very creative and attention grabbing lines. 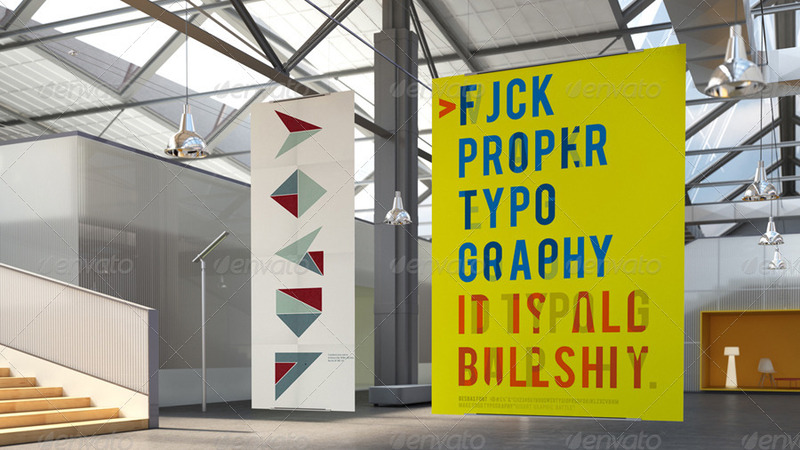 Trust me there is nothing better than a few great lines then all bunch of nonsense. 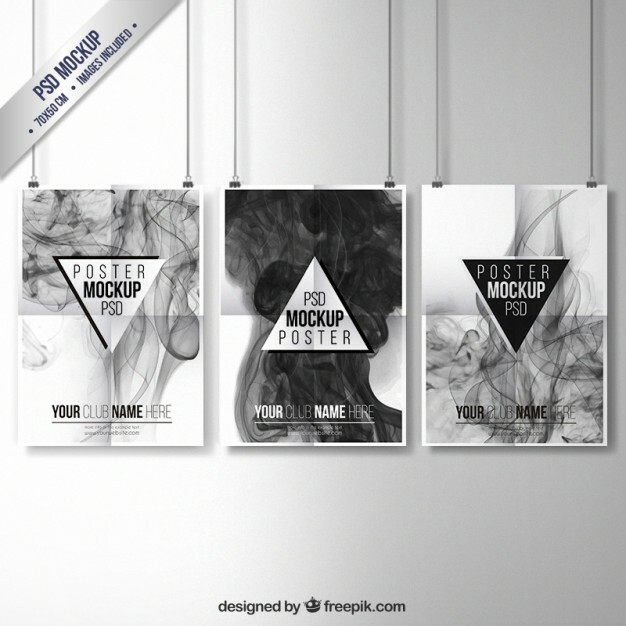 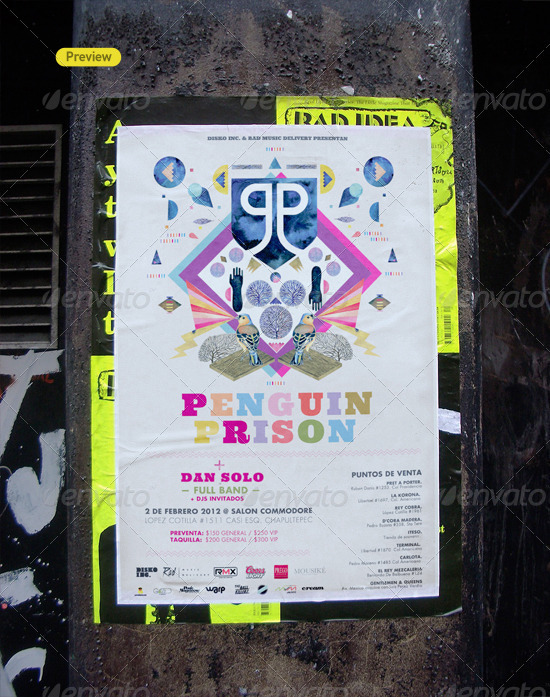 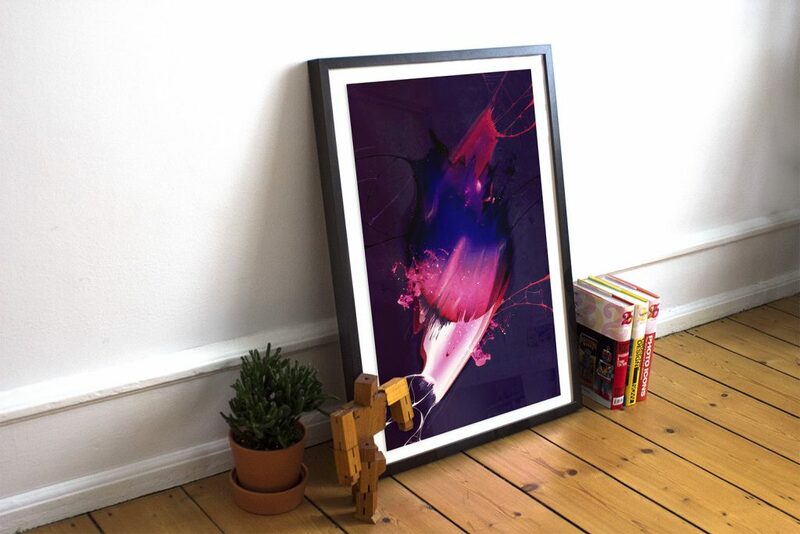 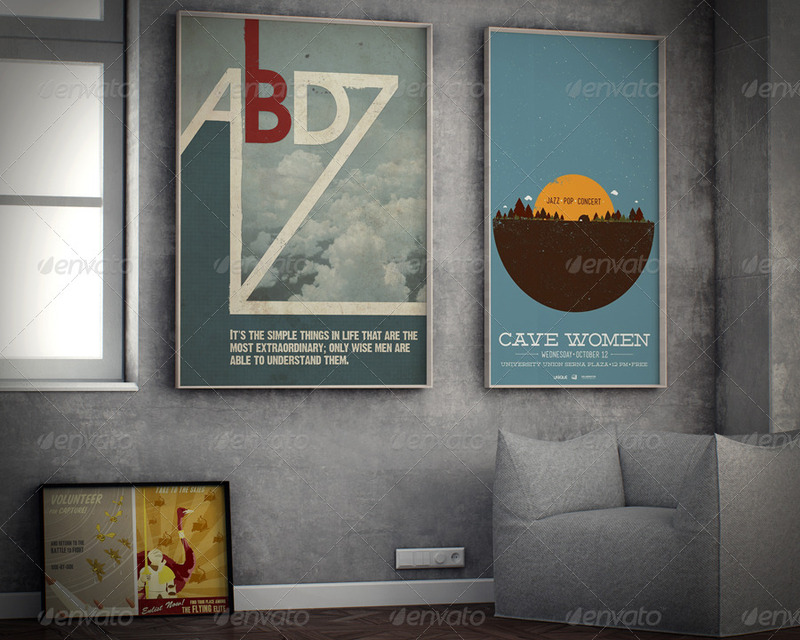 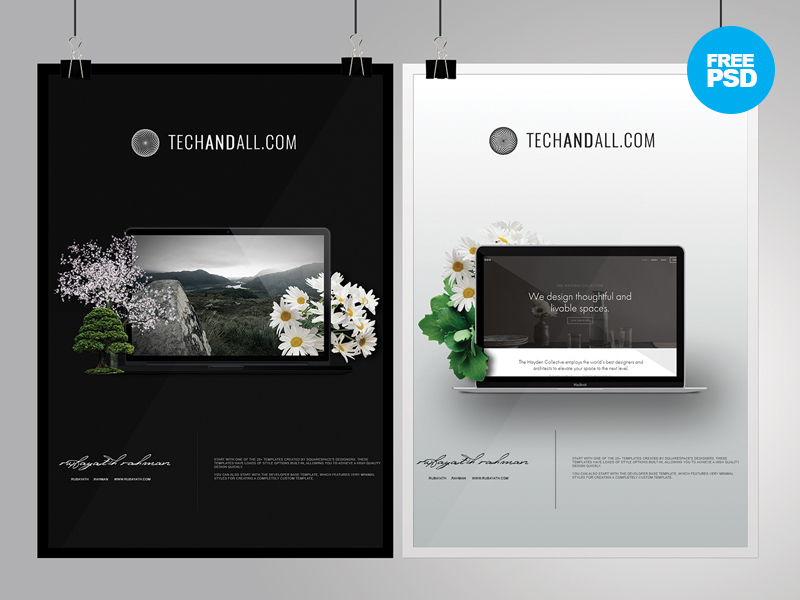 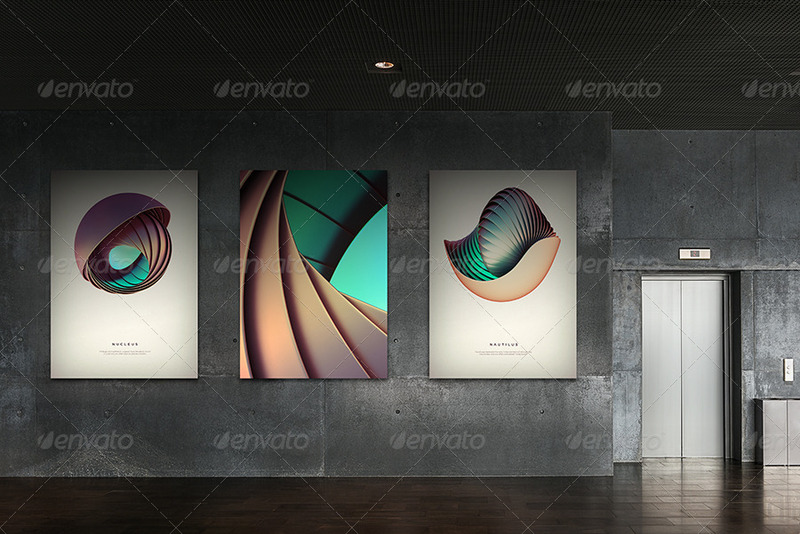 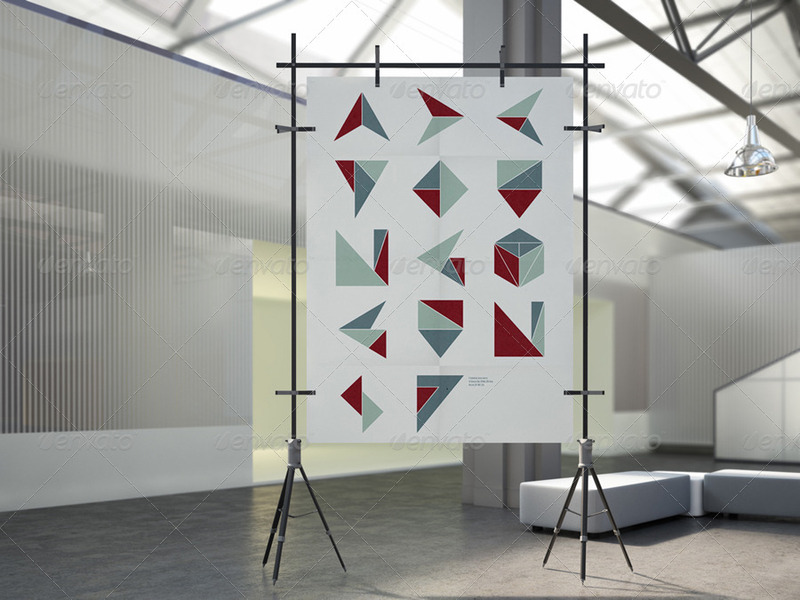 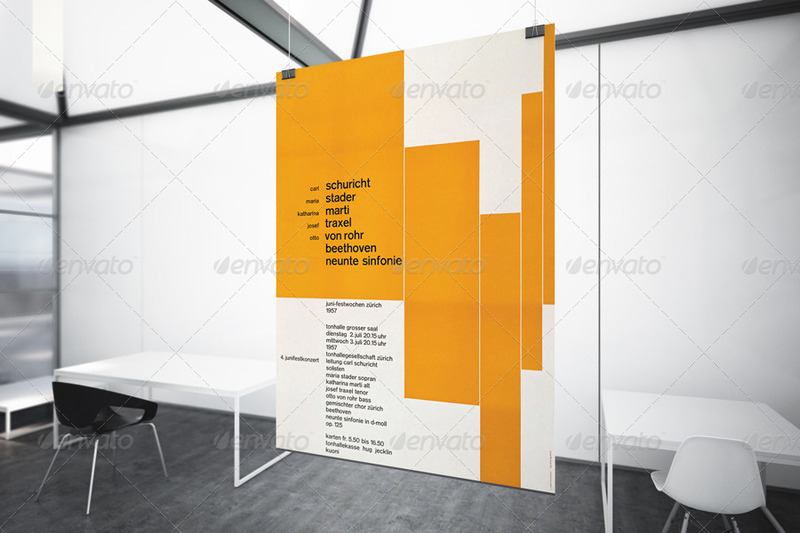 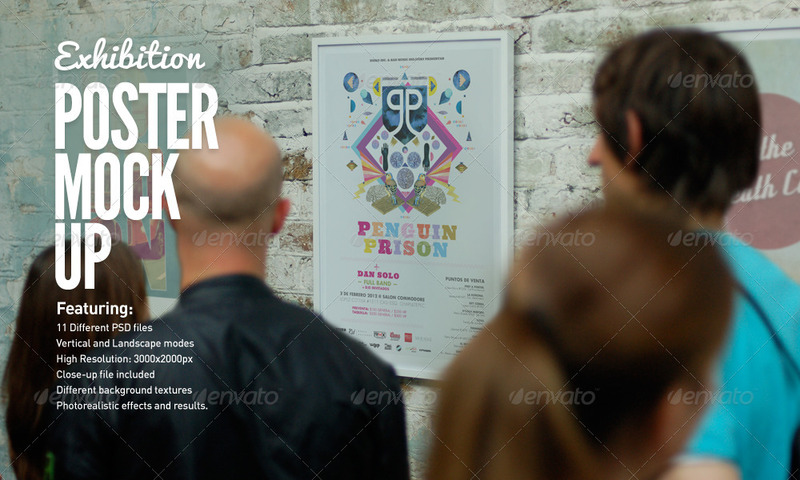 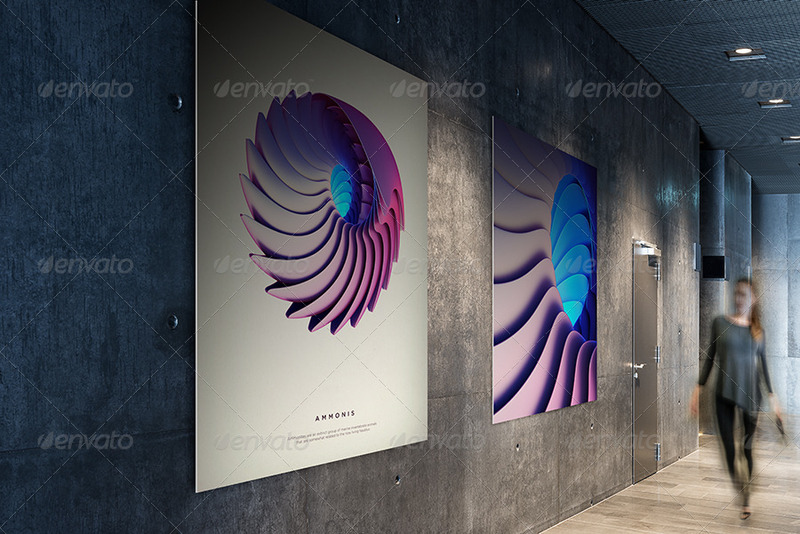 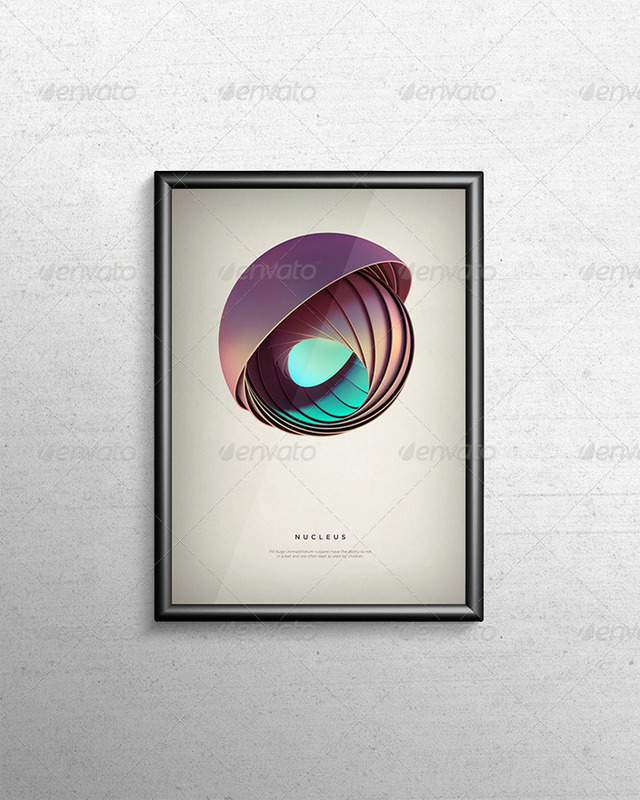 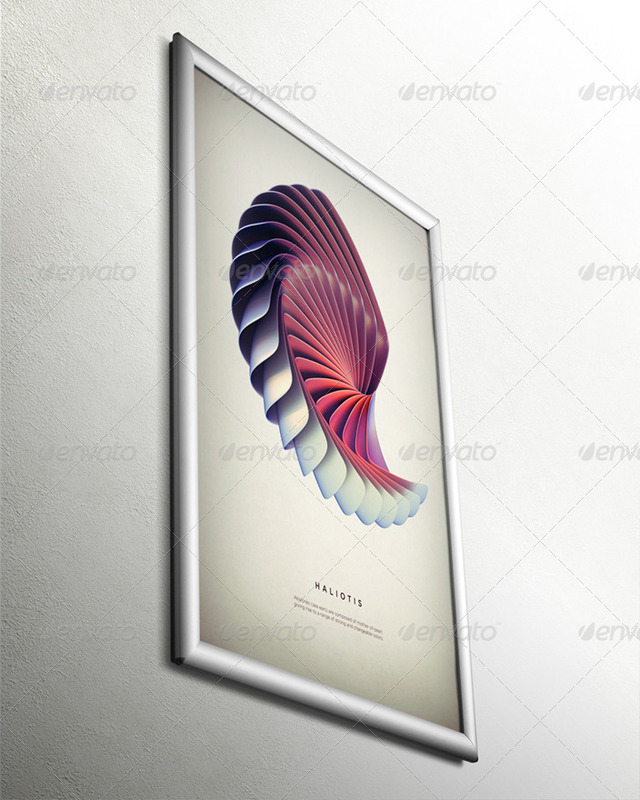 This is a beautiful poster mockup which can be used for showcasing your artwork in style. 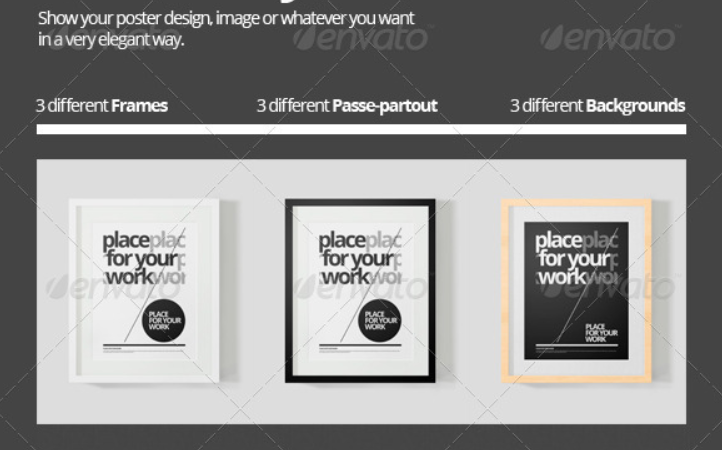 You can use it also to showcase pictures, posters etc. 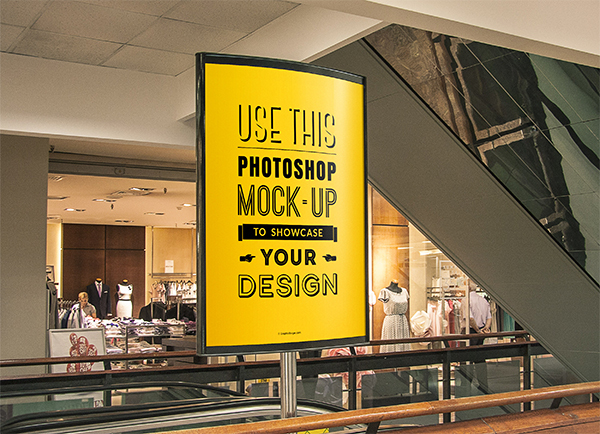 in a realistic way. 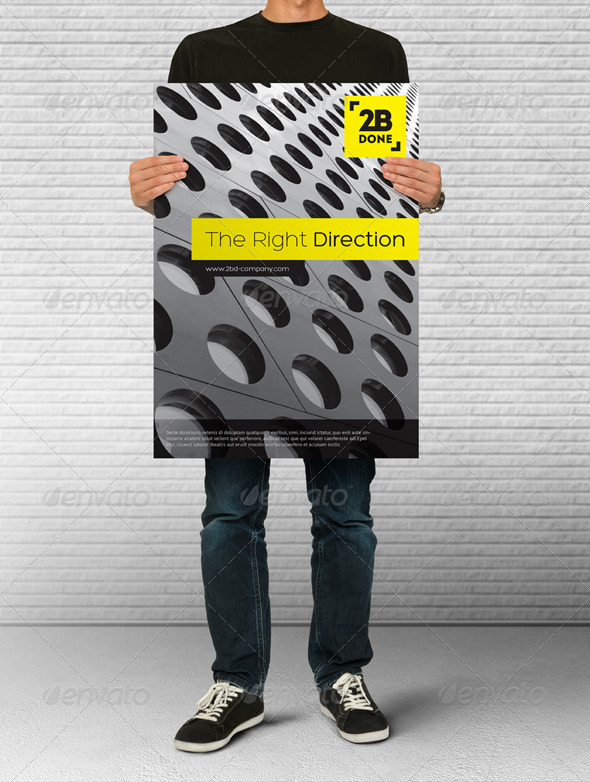 The dimensions of this poster are 2800 x 2000. 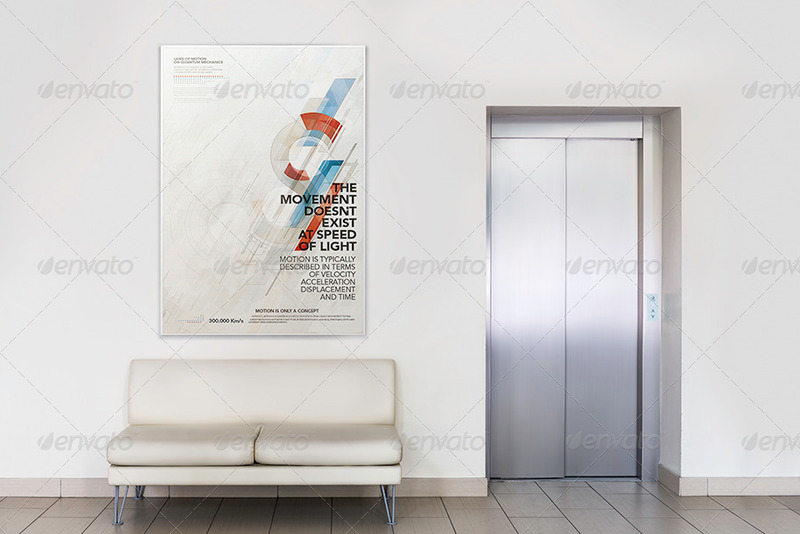 Yet another beautiful and minimal poster mockup with different lighting options. 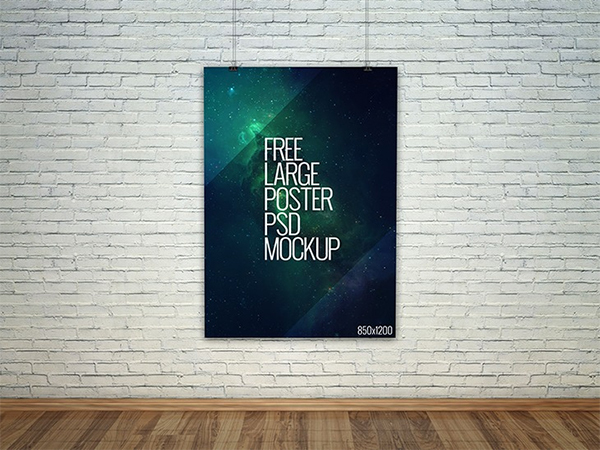 Download the PSD and you will love this one. 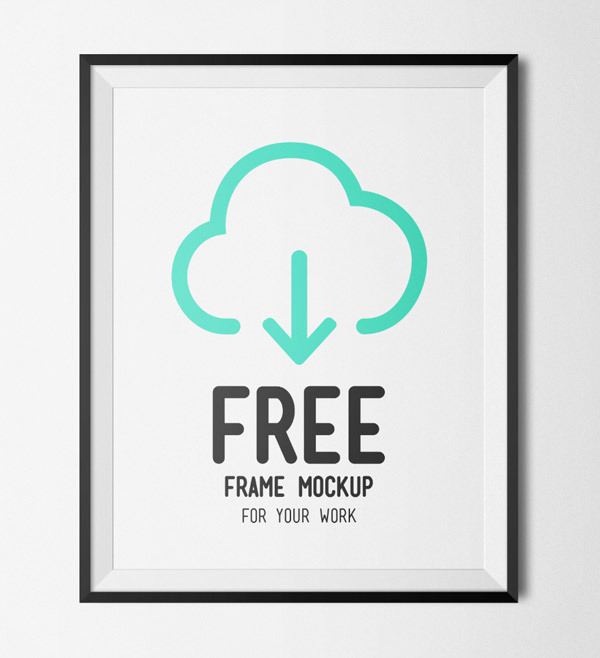 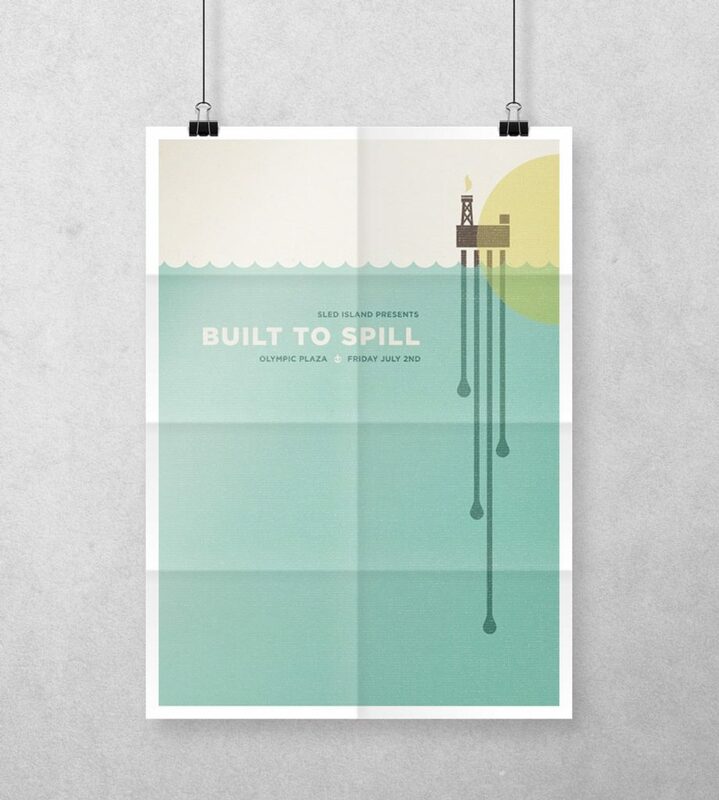 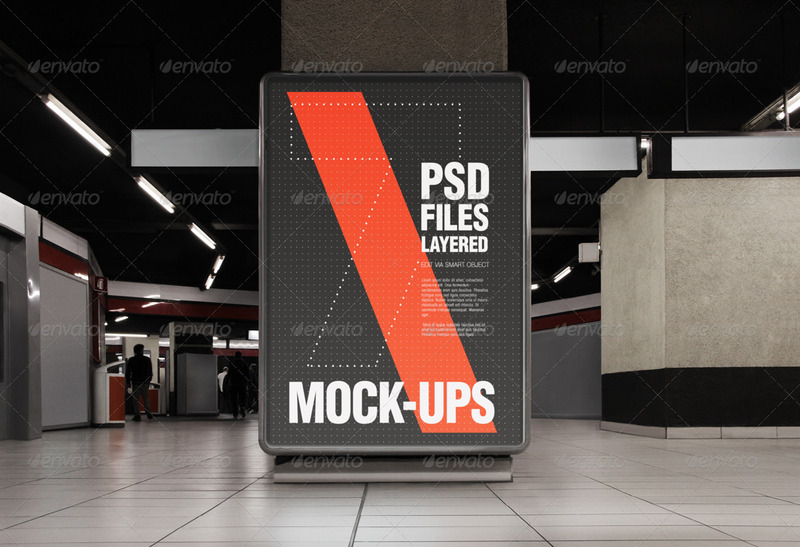 A beautiful poster frame mockup to testify your designs. 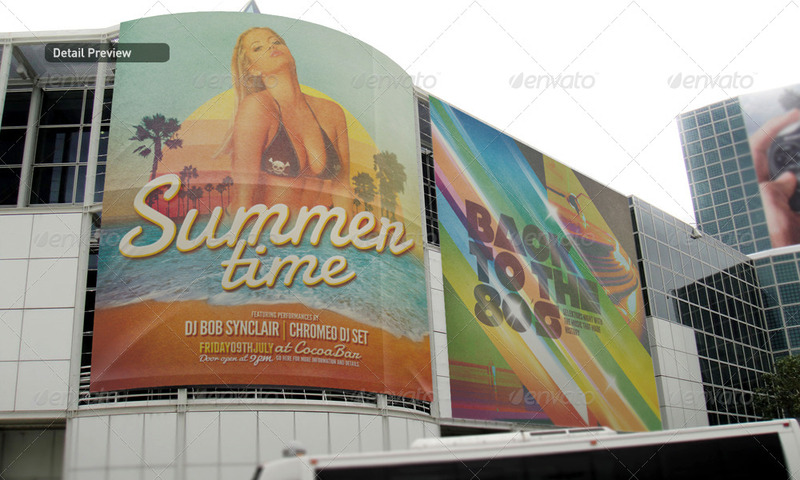 The third in the collection for promoting clubs, parties kind of events. 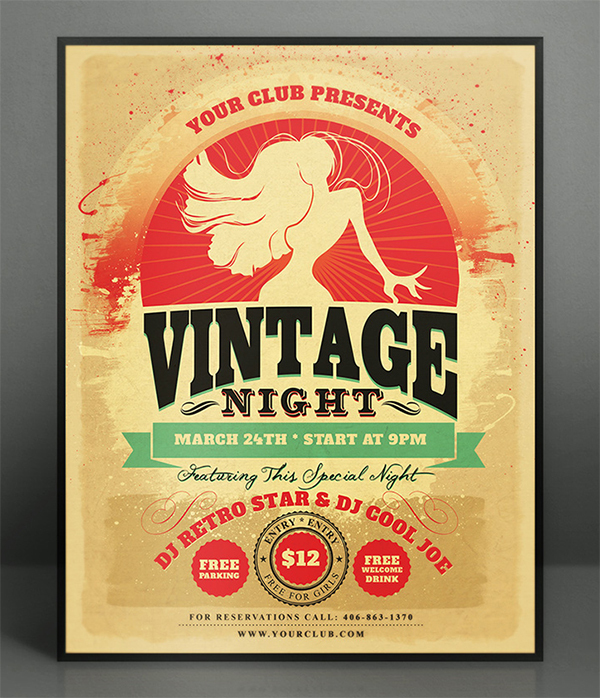 This is a retro style poster mockup and can be used for promoting not only clubs and partied but virtually any kind of event which has a vintage theme. 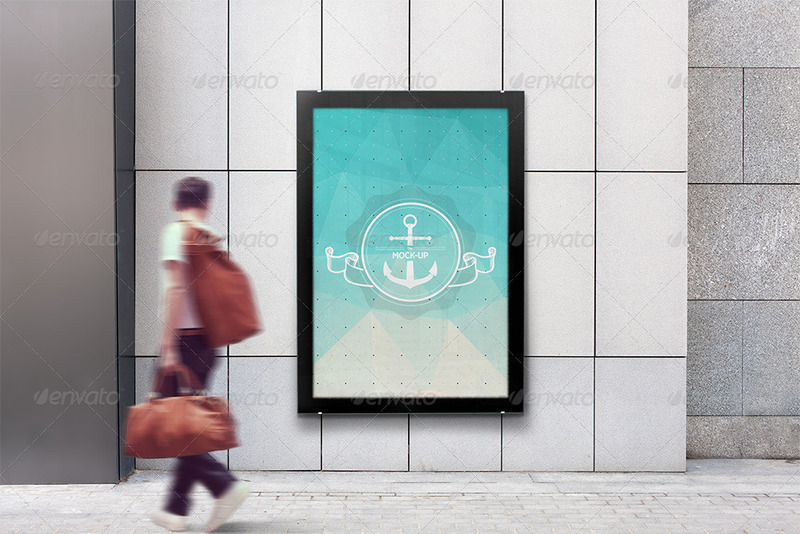 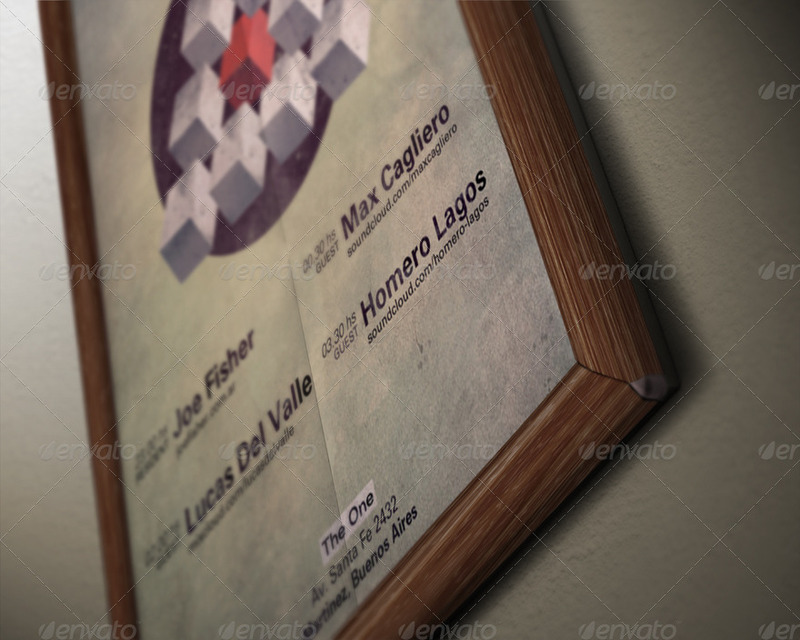 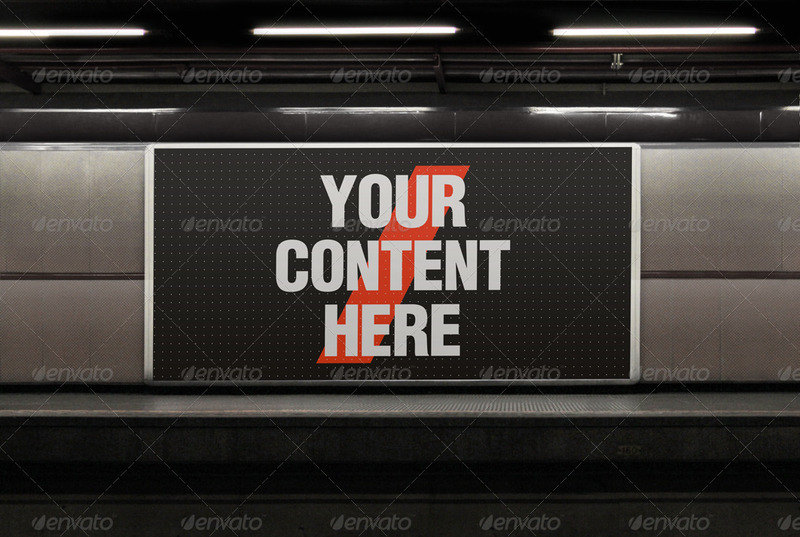 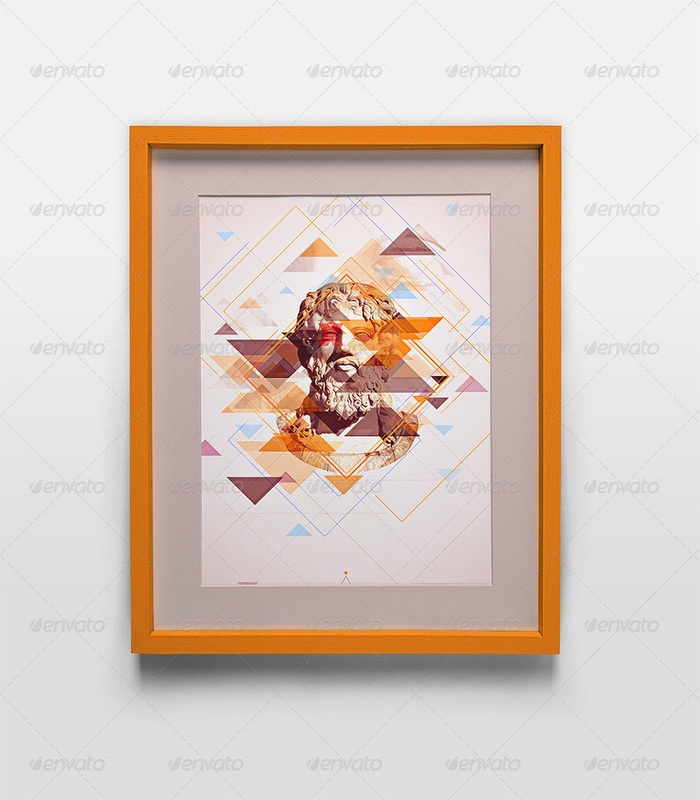 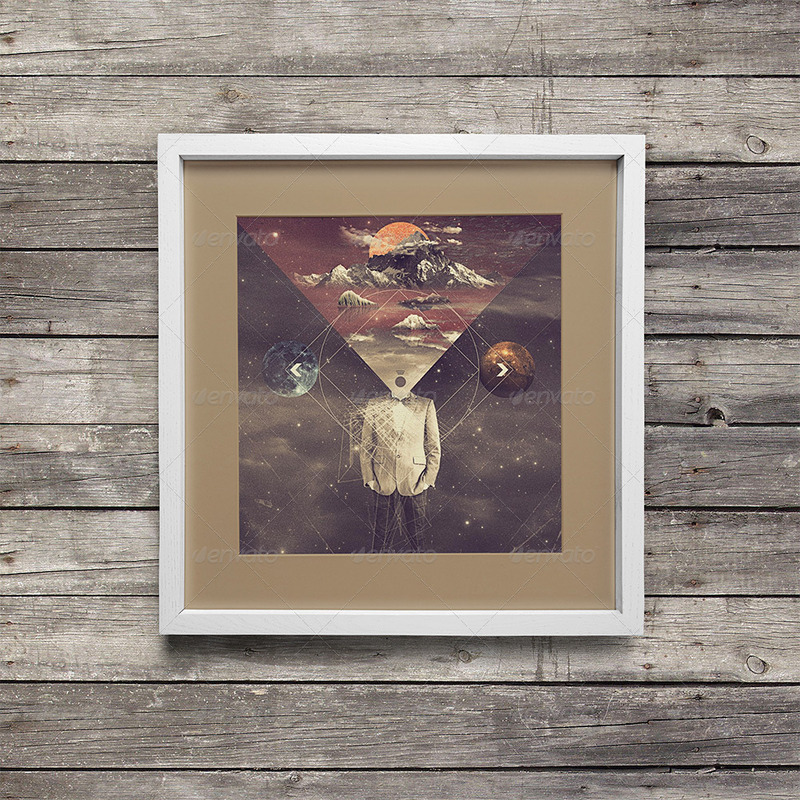 Yet another poster frame mockup to see how your design will look in a frame like this. 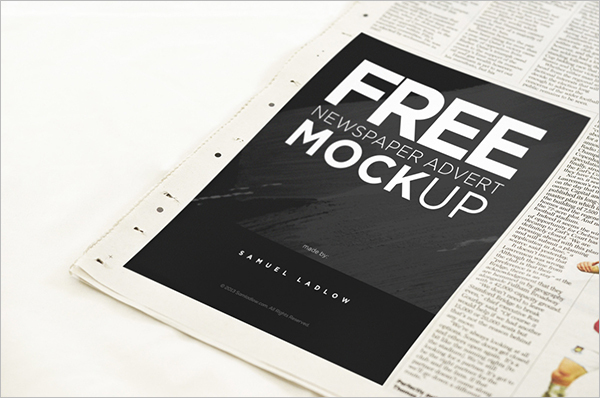 Pretty nicely designed poster mockup which can be used for newspaper advertisements. 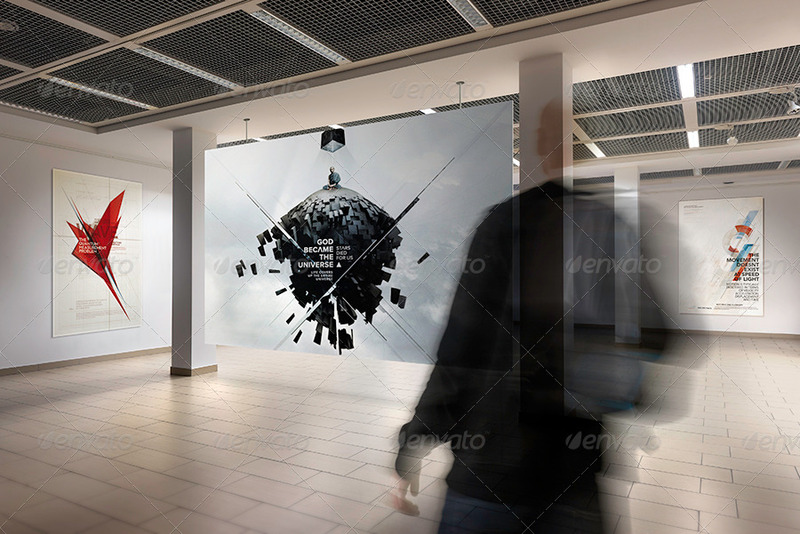 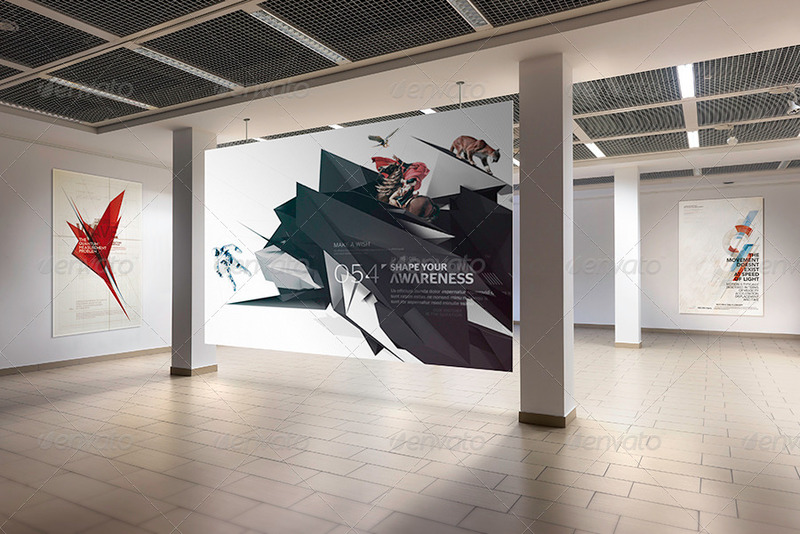 One of the best and attention grabbing poster mockups for indoor advertising, especially in a mall. 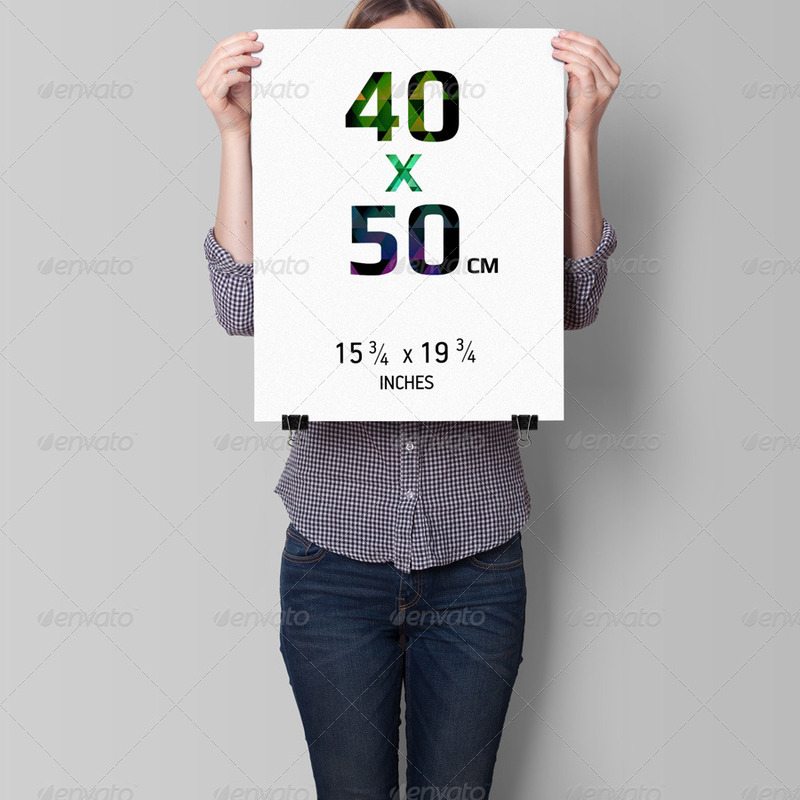 The dimensions of this poster mockup are 2900×2100 px. 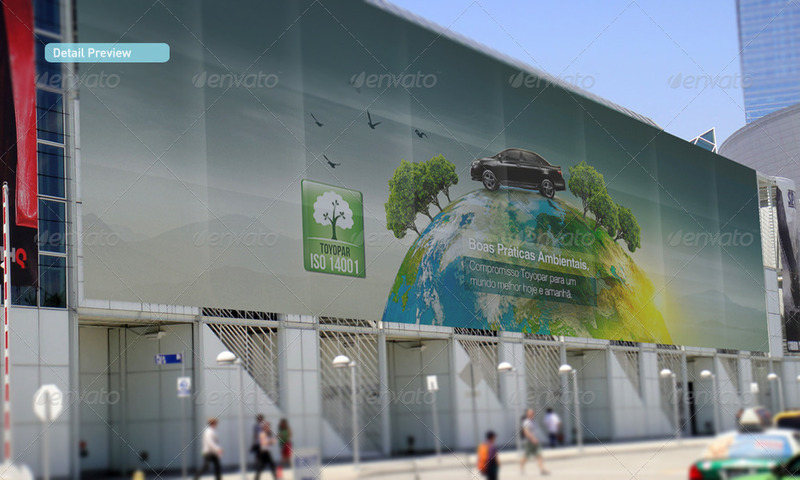 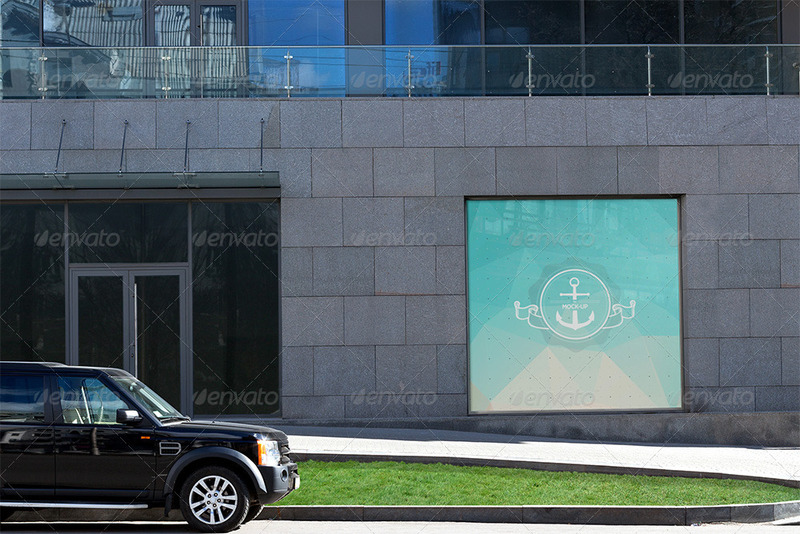 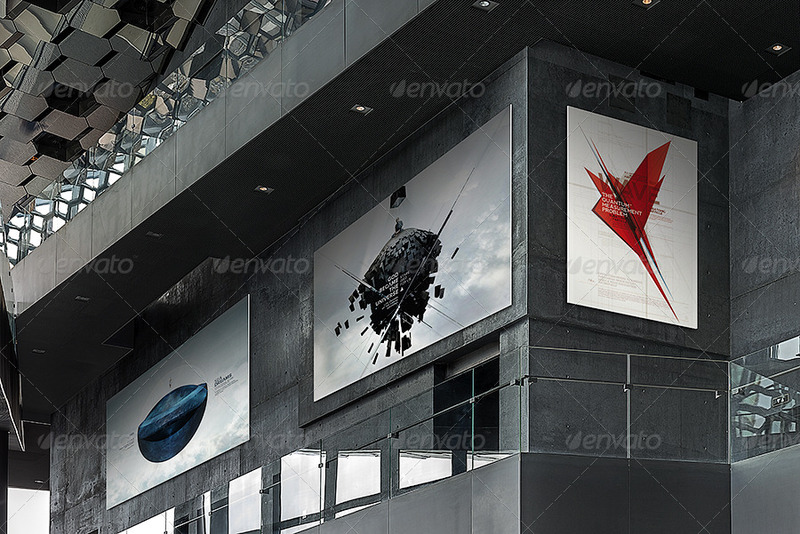 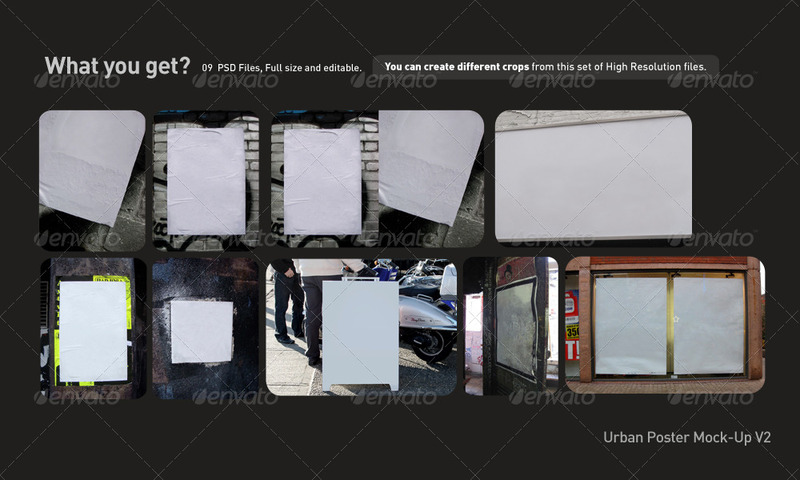 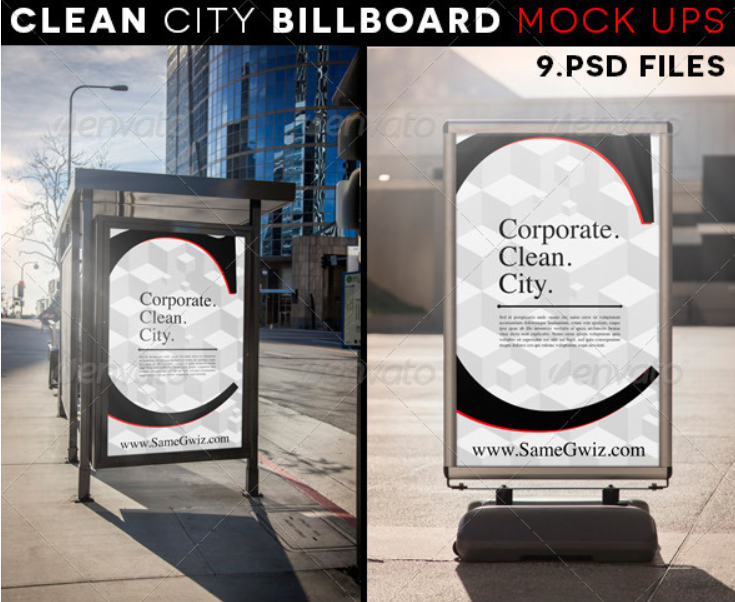 This is a very high quality work in the form of poster mockup and can be used to showcase your business or anything on a street billboard. 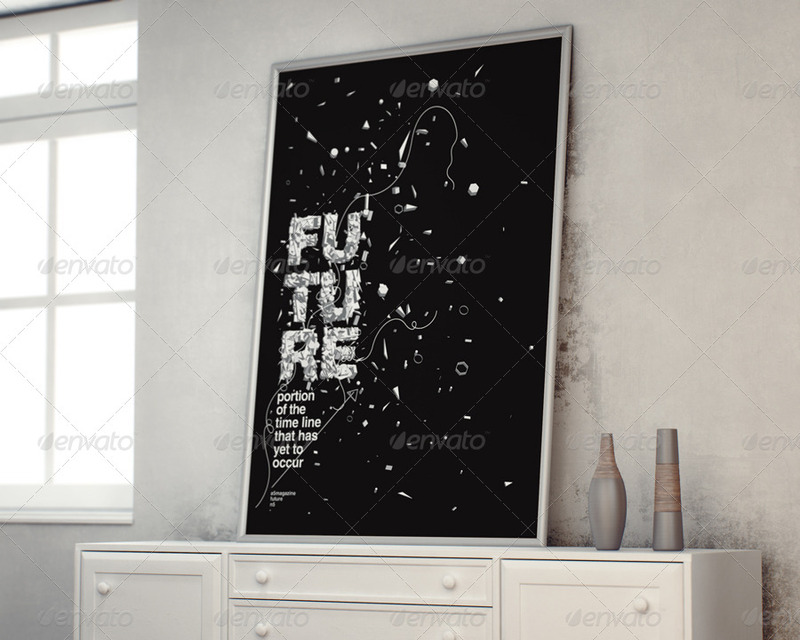 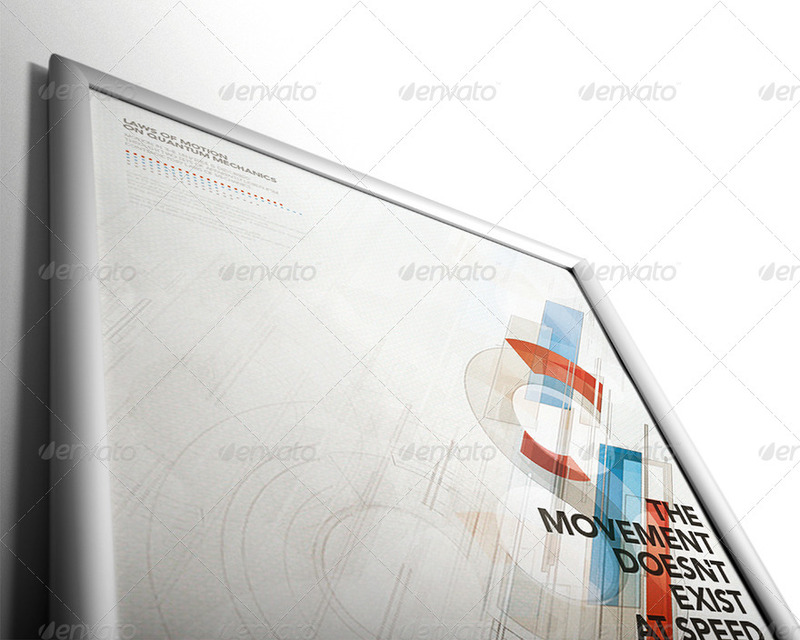 An elegant poster frame mockup with silver white line design. 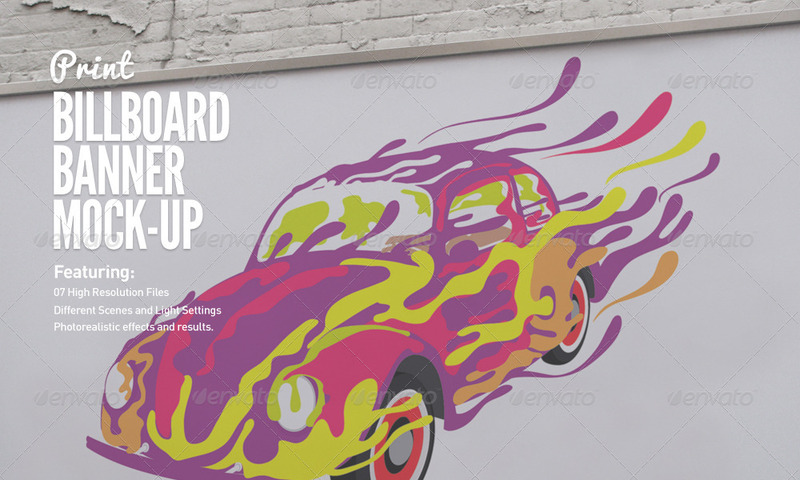 Another great design with such vibrant colors. 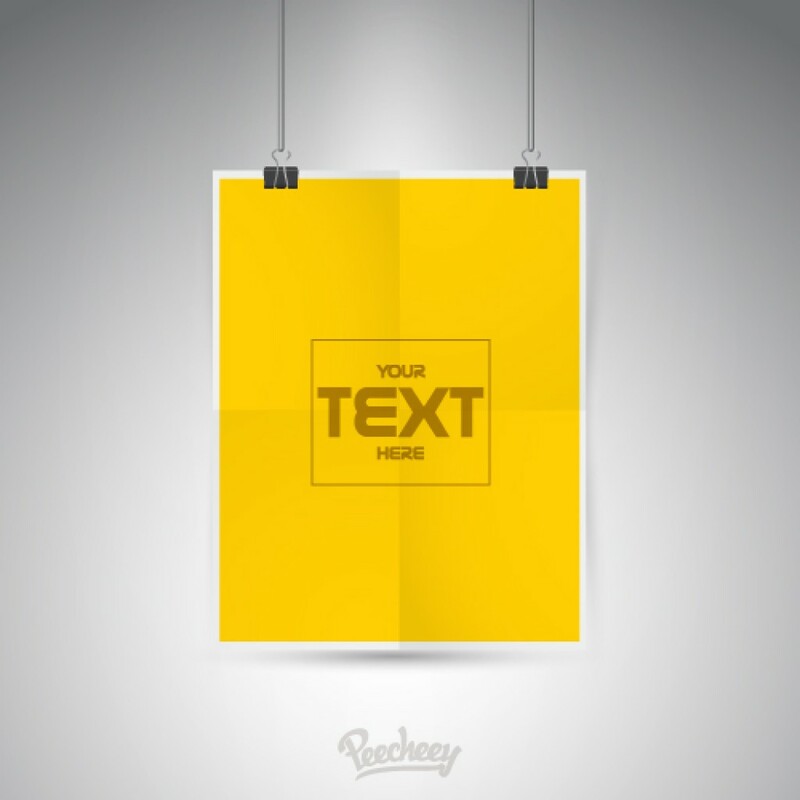 The poster mockup uses the smart layers which allows you to apply your designs in no time. 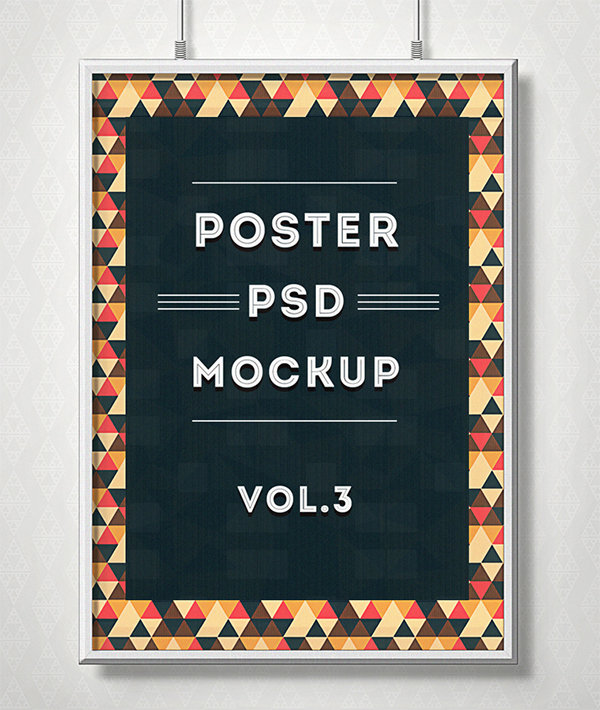 This is a vintage style poster mockup for your artwork presentations. 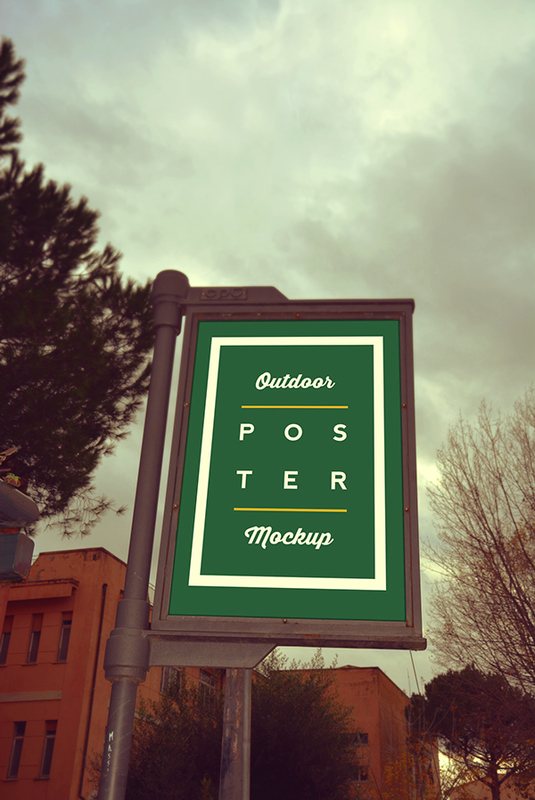 Another simple and realistic poster mockup for outdoor advertisements. 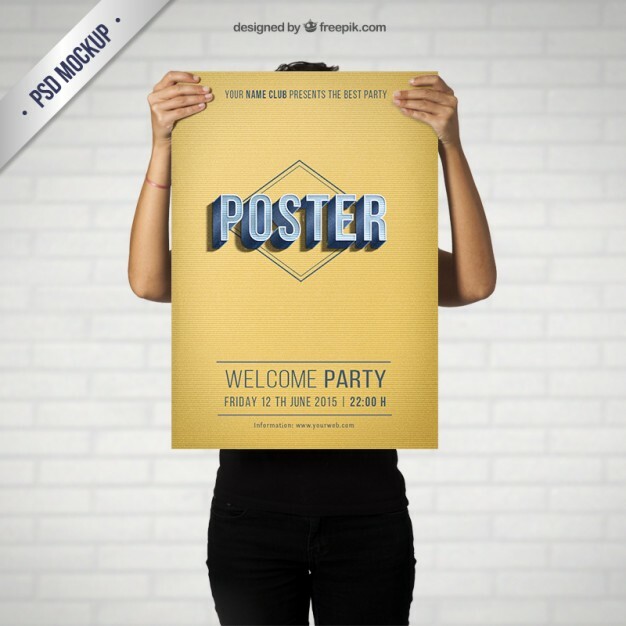 As the name says it all, this poster mockup is a good choice for promoting night parties events. 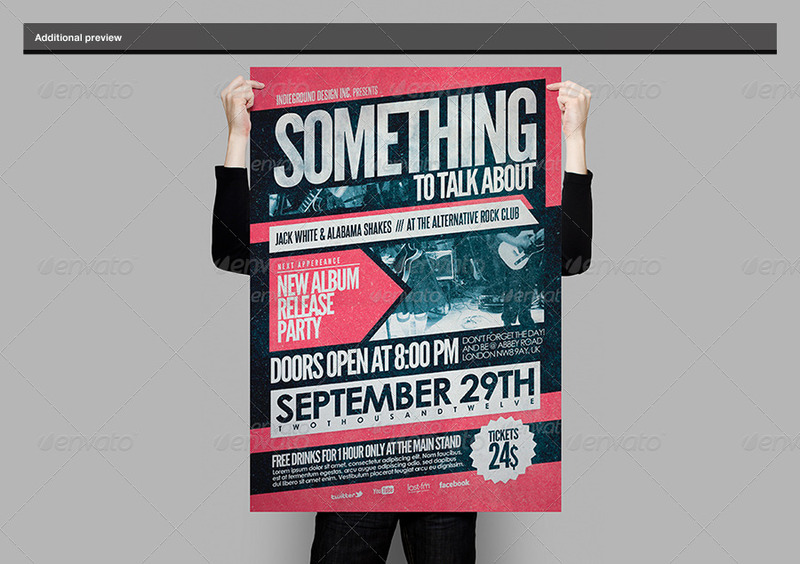 This one has a vintage feel to it and I am sure will add that extra kick to your promotion. 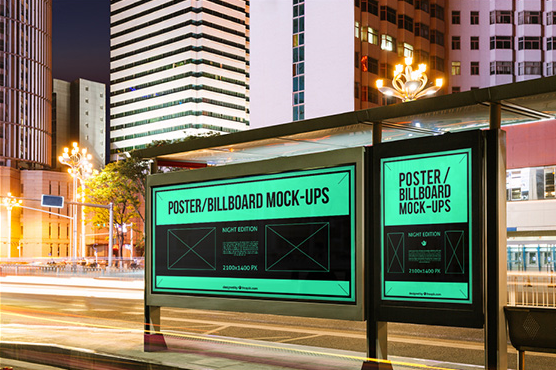 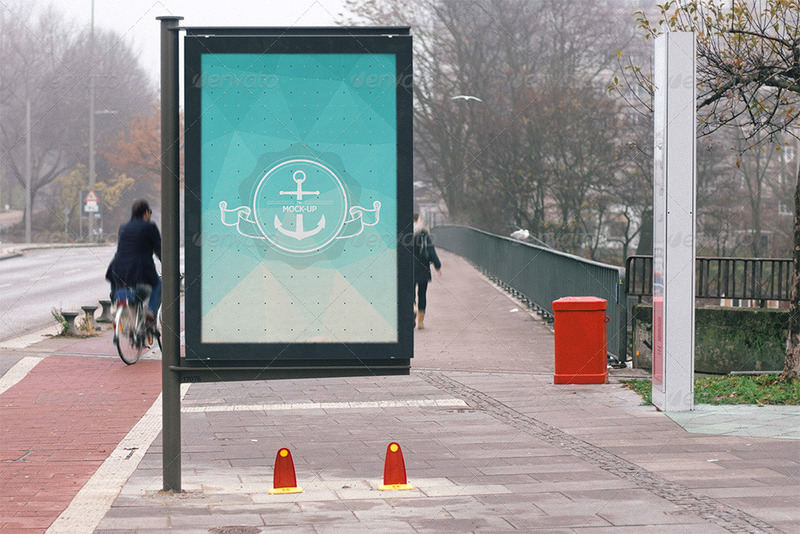 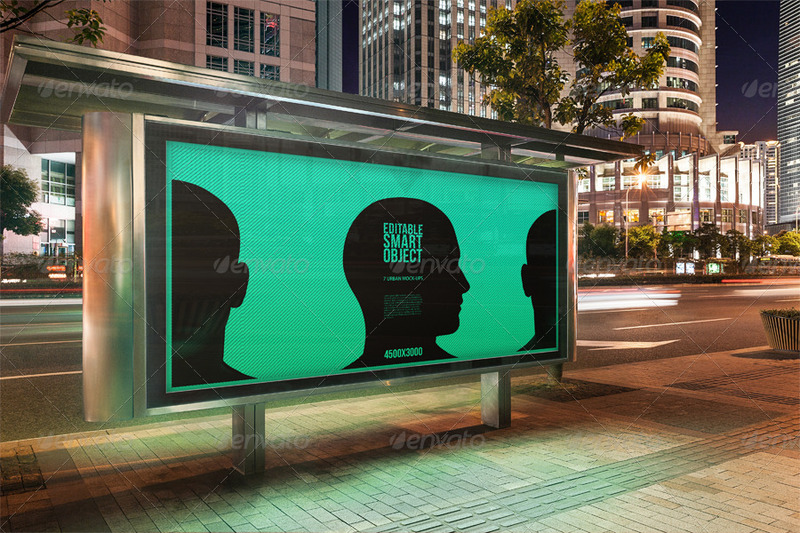 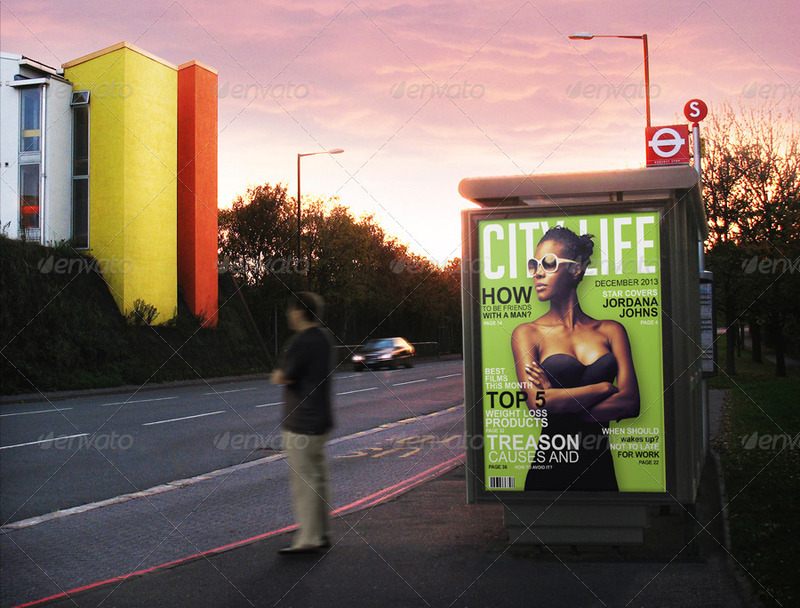 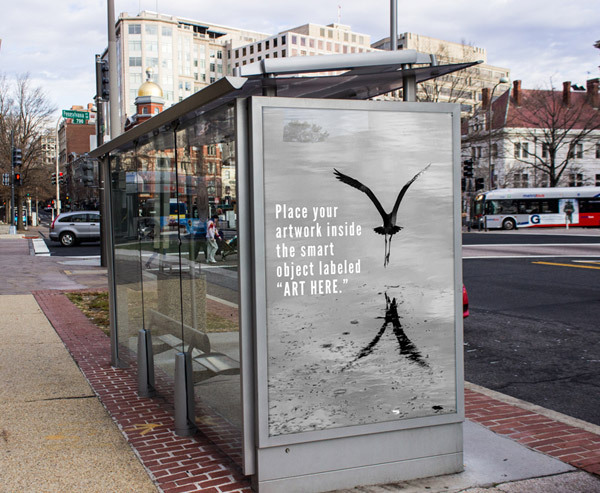 A sleek and perfectly designed outdoor bus stop poster mockup. 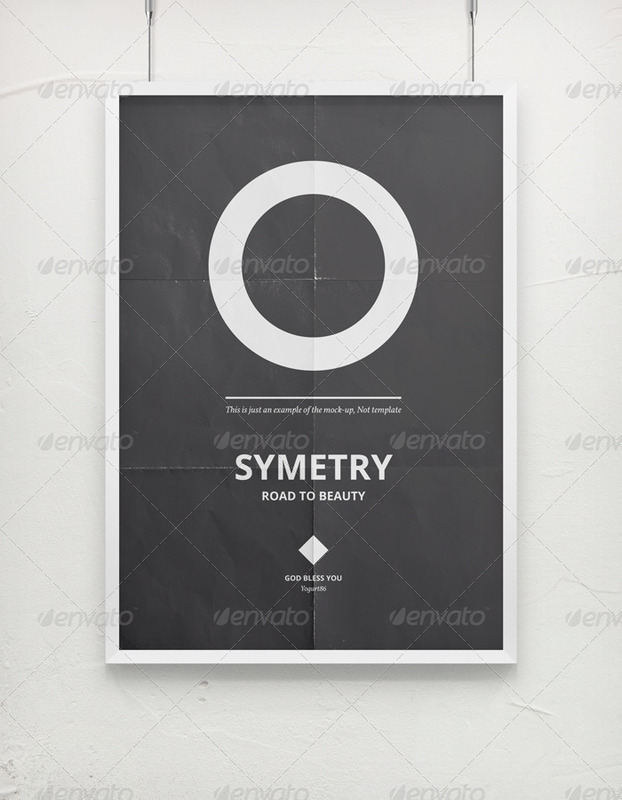 A great minimalist poster mockup to showcase your artwork with simplicity. 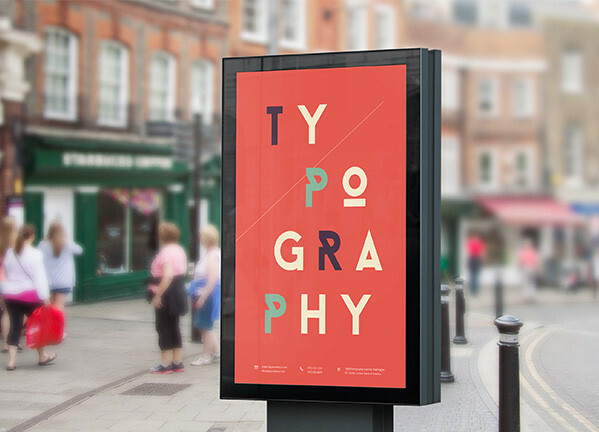 I just love the color combination and design of this poster mockup. 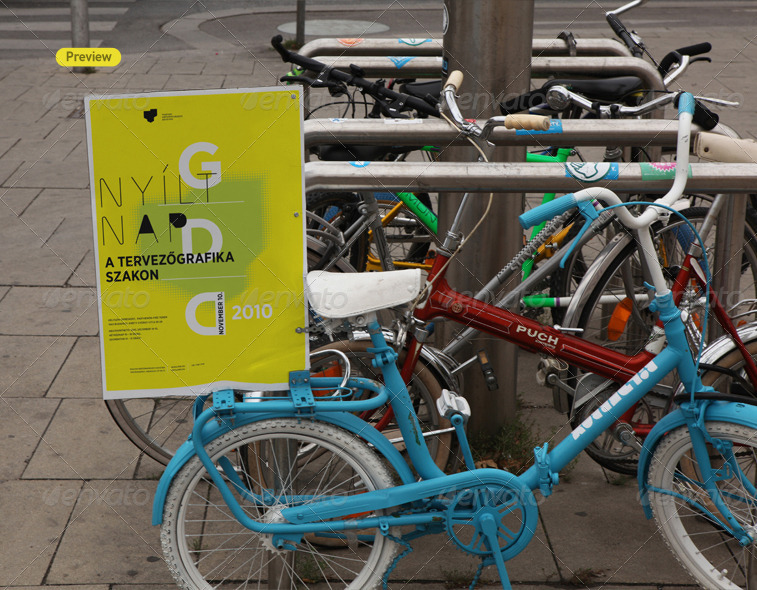 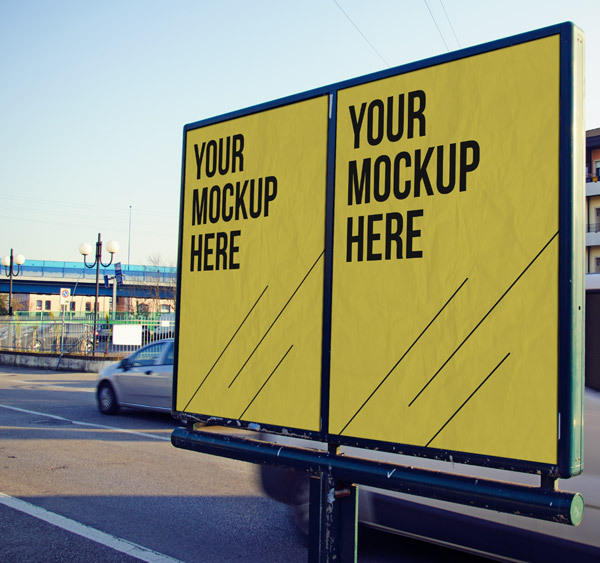 This poster mockup has been designed for outdoor advertisements on street billboards. 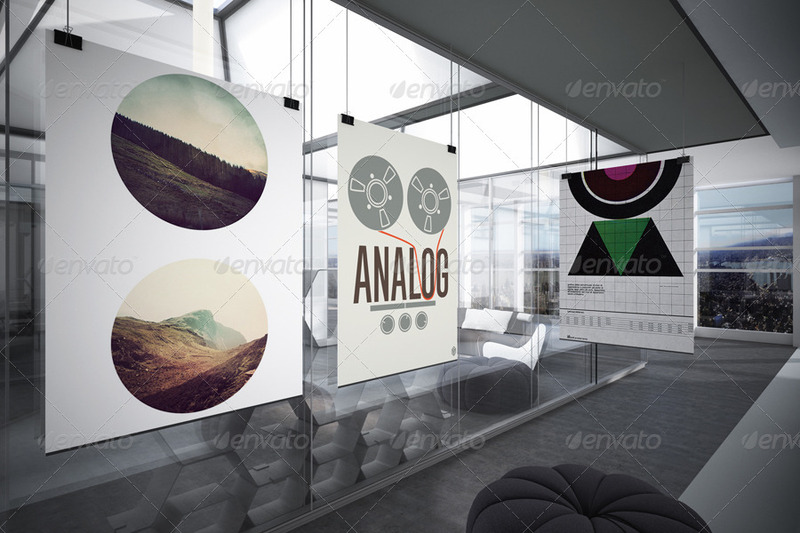 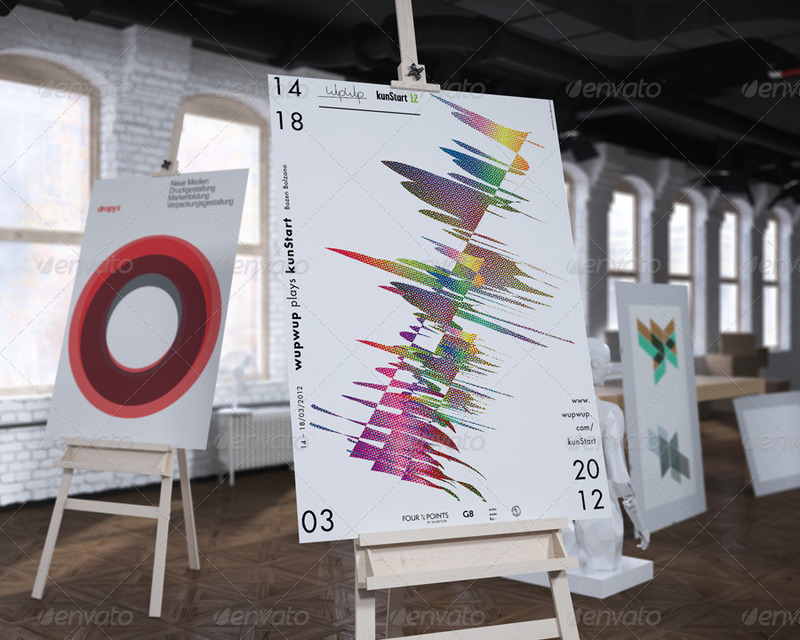 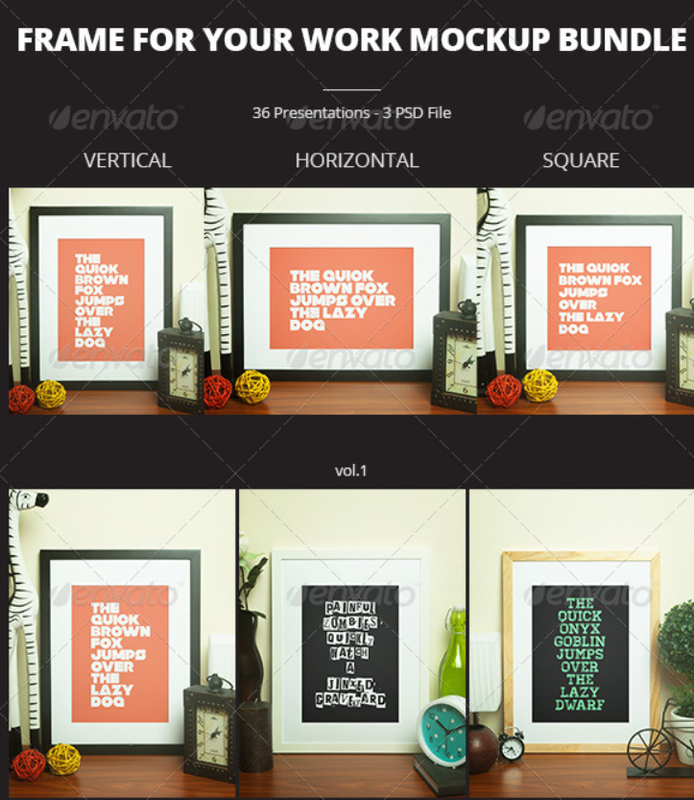 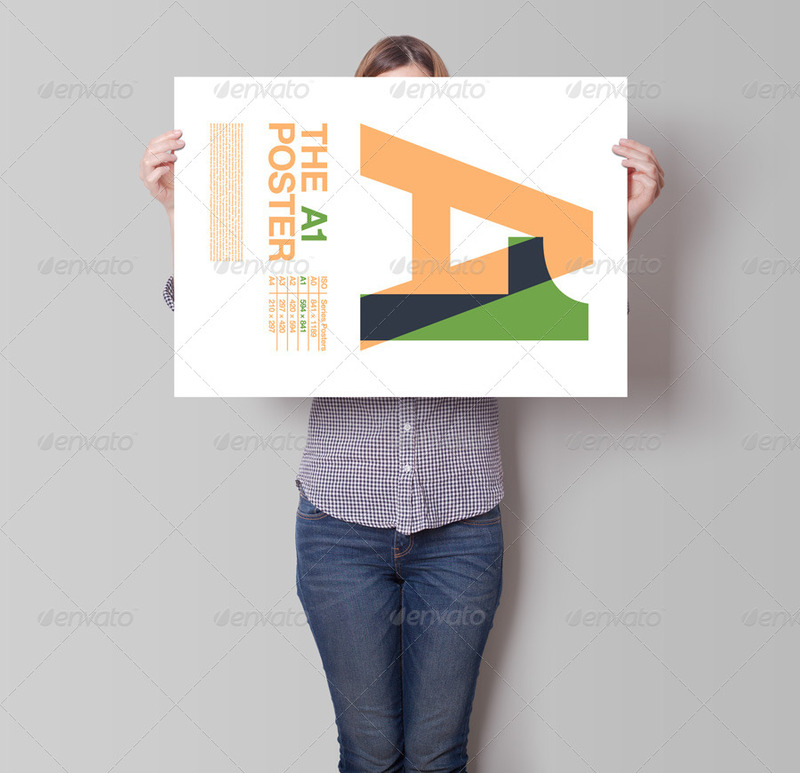 The set contains 10 poster mockups of different shapes and sizes like landscape poster, horizontal poster and vertical poster. 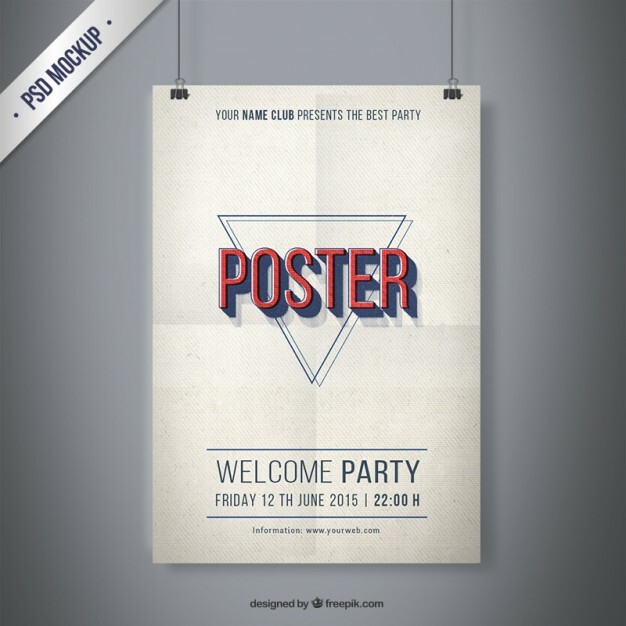 This one is yet another poster mockup for promoting clubs etc. 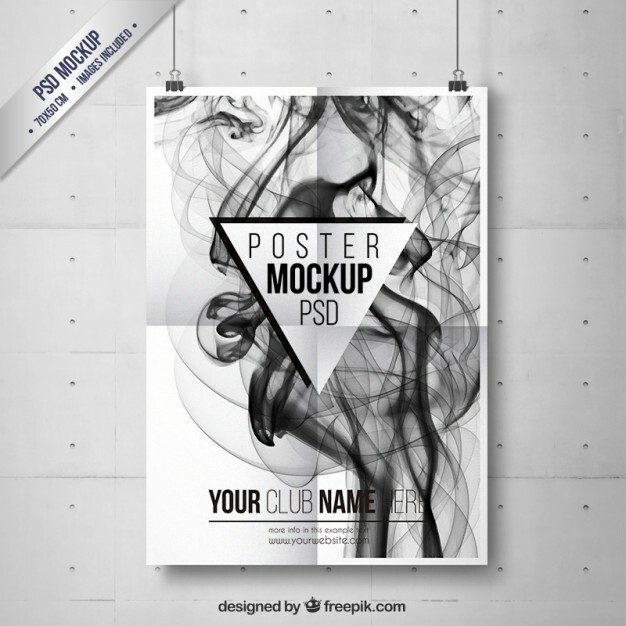 but has an added smoke effect to it. 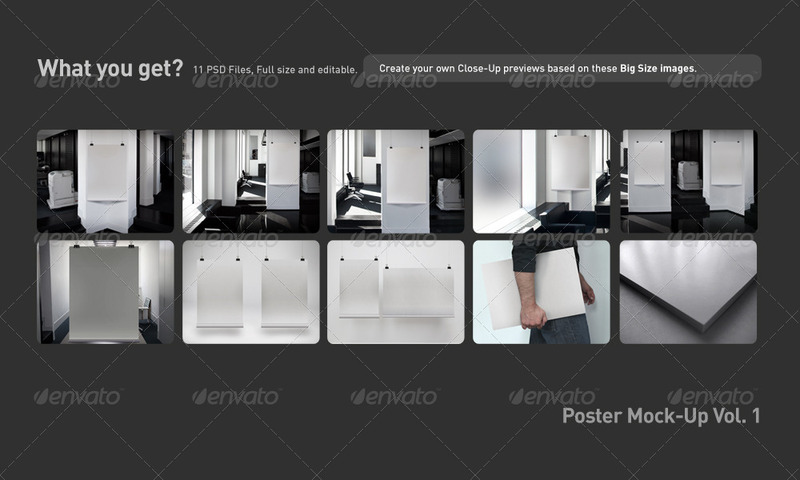 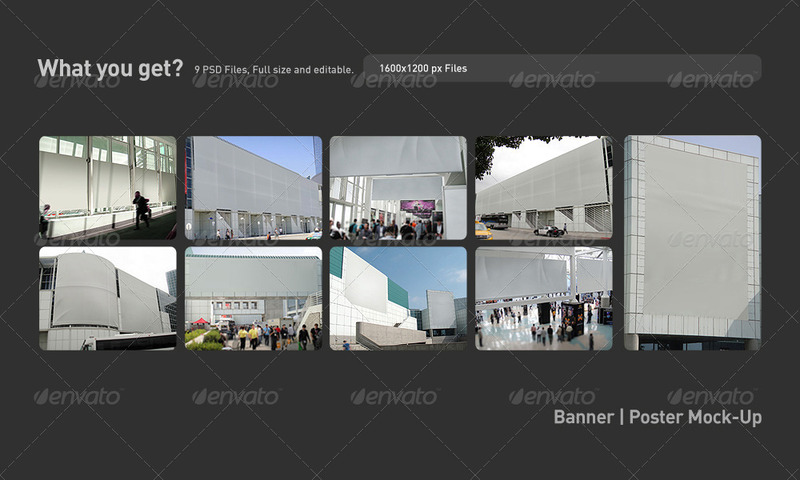 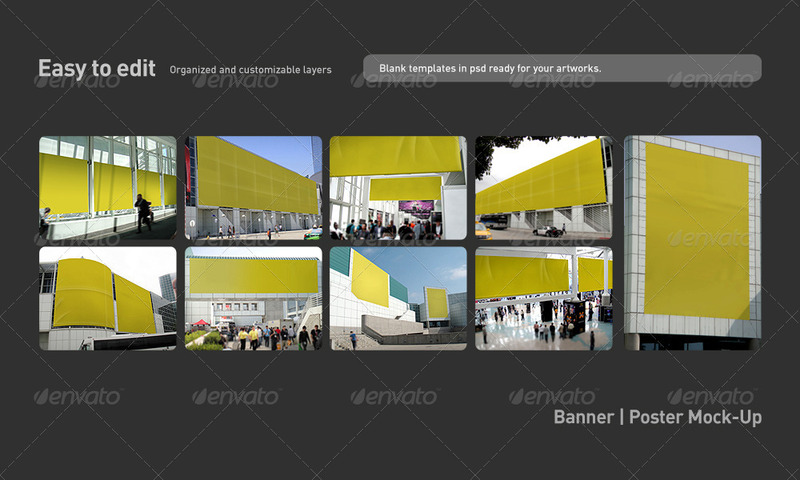 The mockup includes all the images which you can see in the picture below. 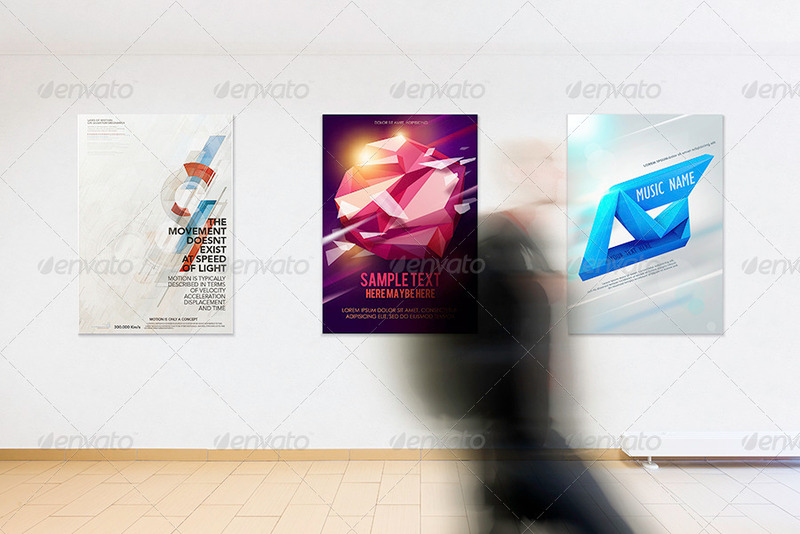 The following section contains all Premium Poster Mockup Templates and as these are premium poster mockups, these are not free to download and a minimal cost is associated with them. 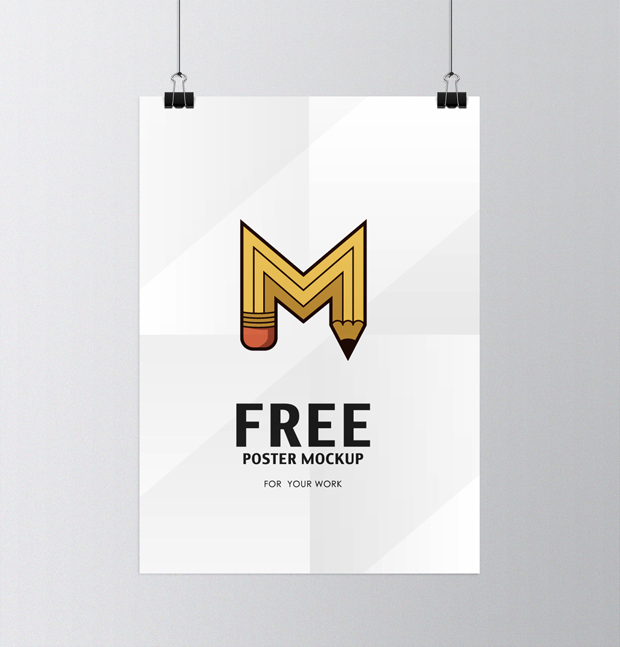 If you are looking for free poster mockups, you can find them above in the Free Poster Mockups section. 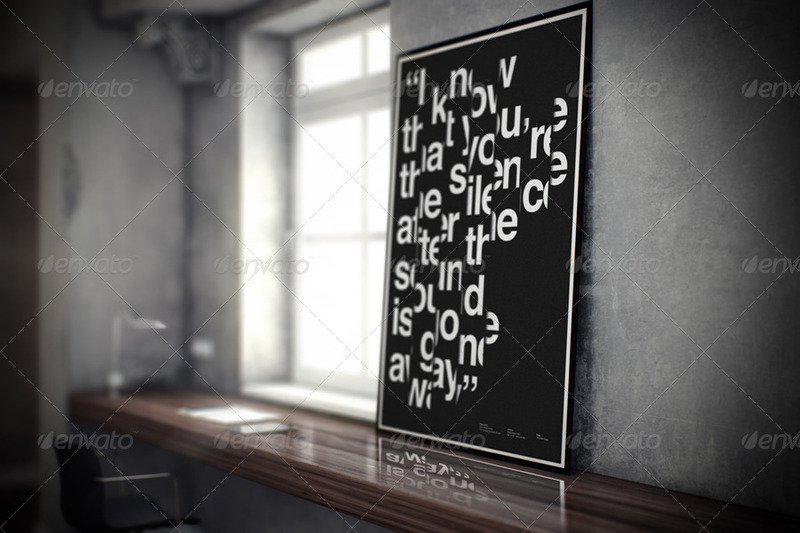 Thanks Sandra. 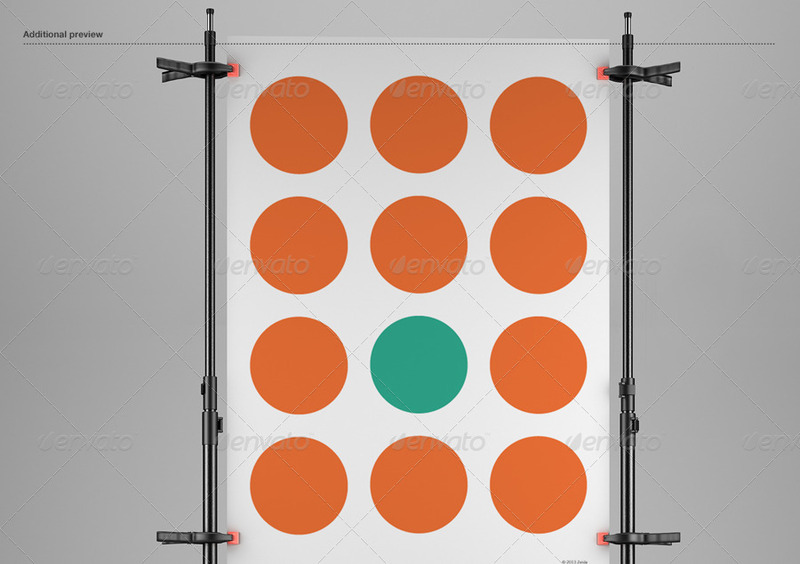 Glad that you liked this post.